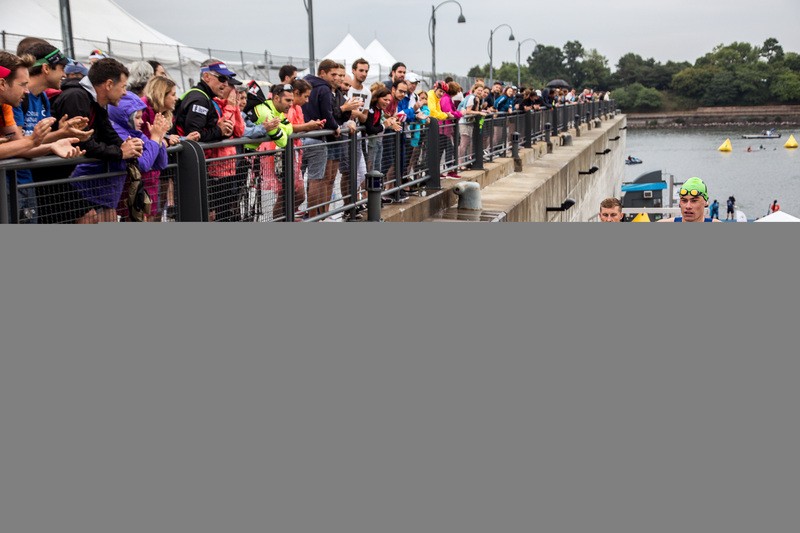 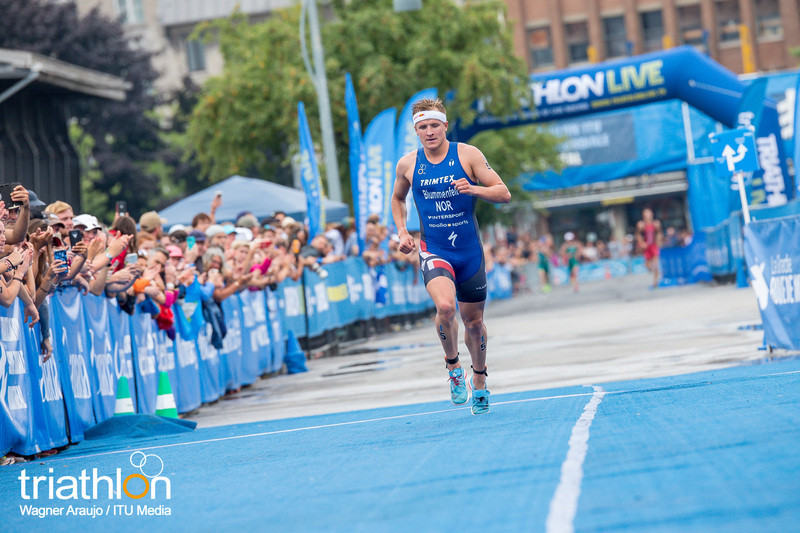 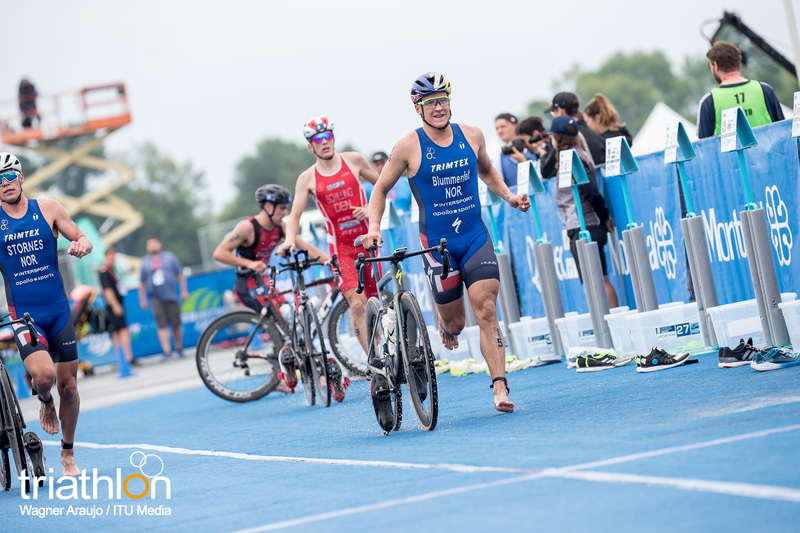 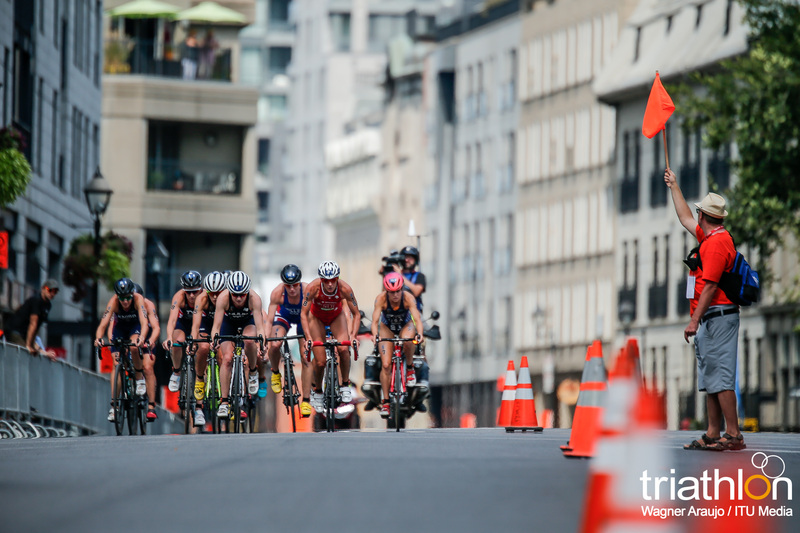 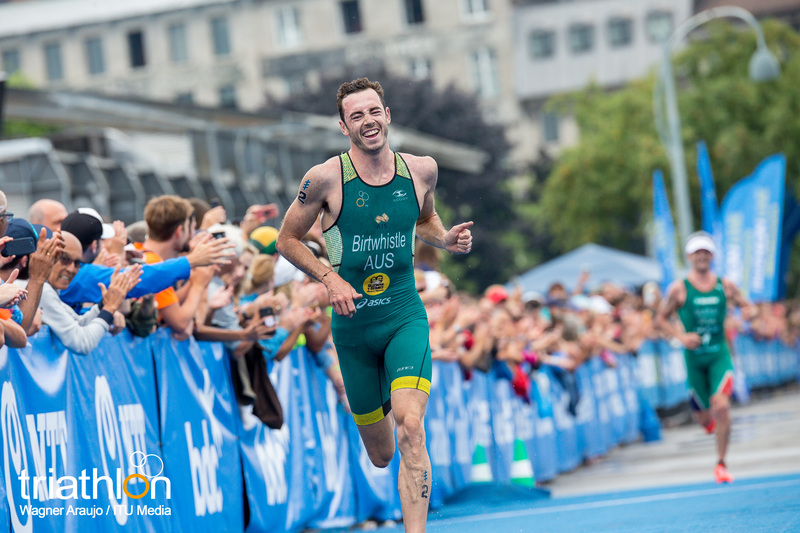 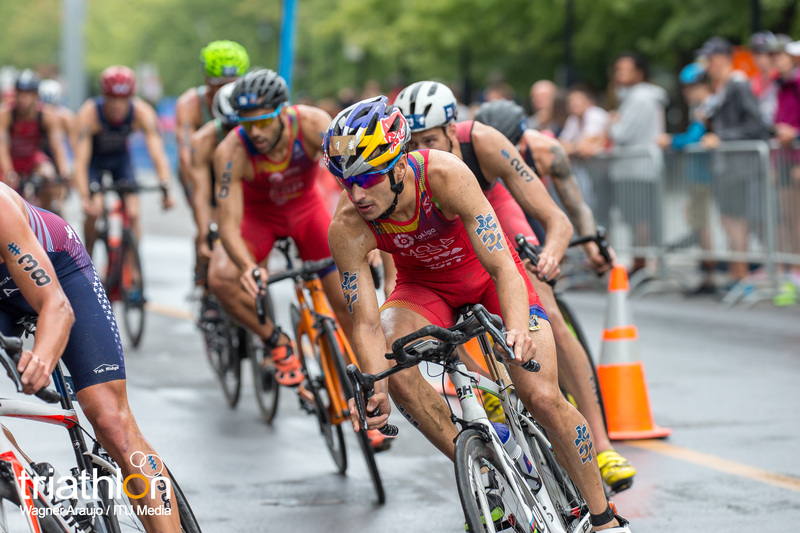 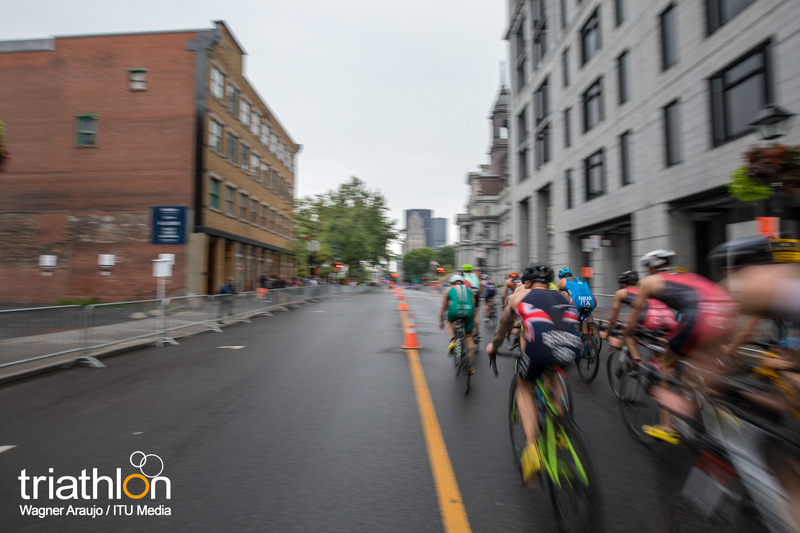 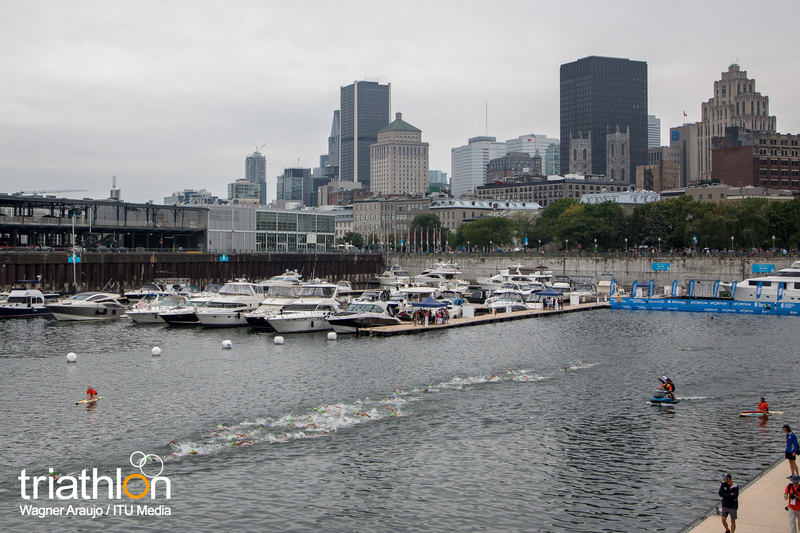 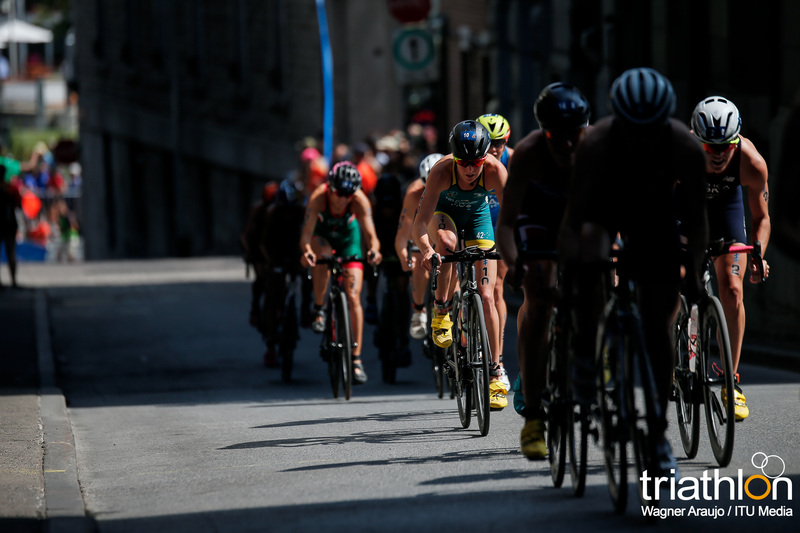 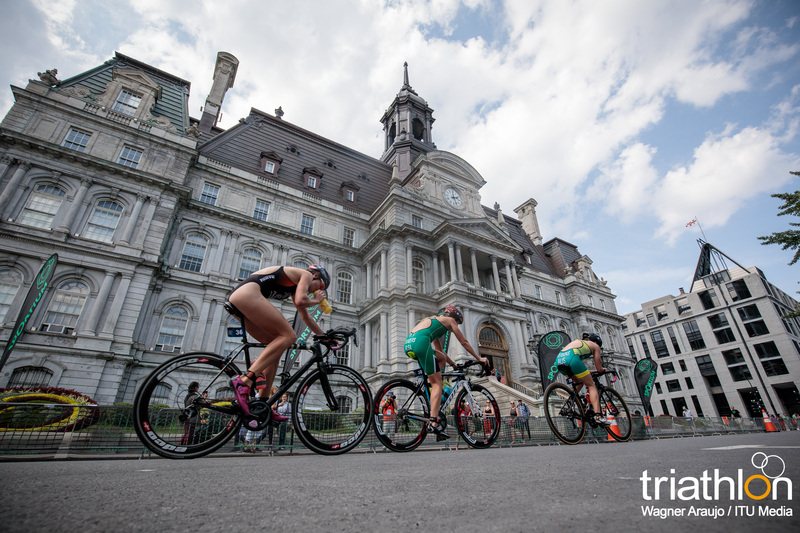 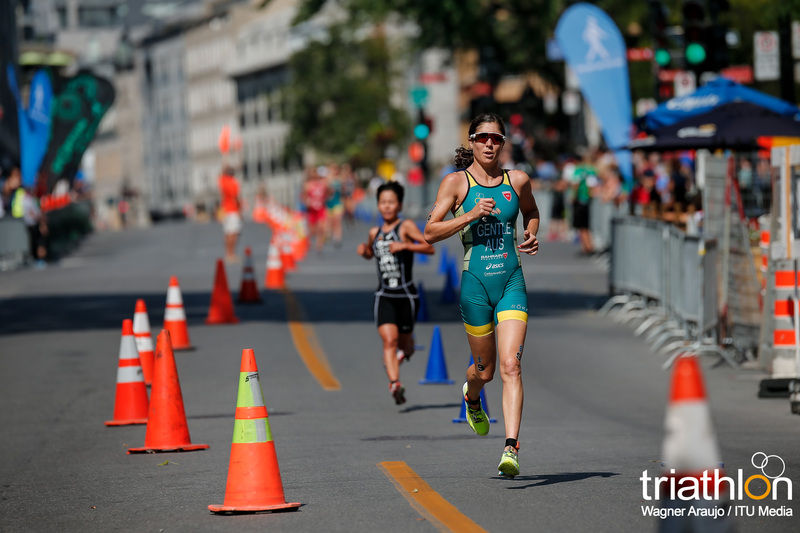 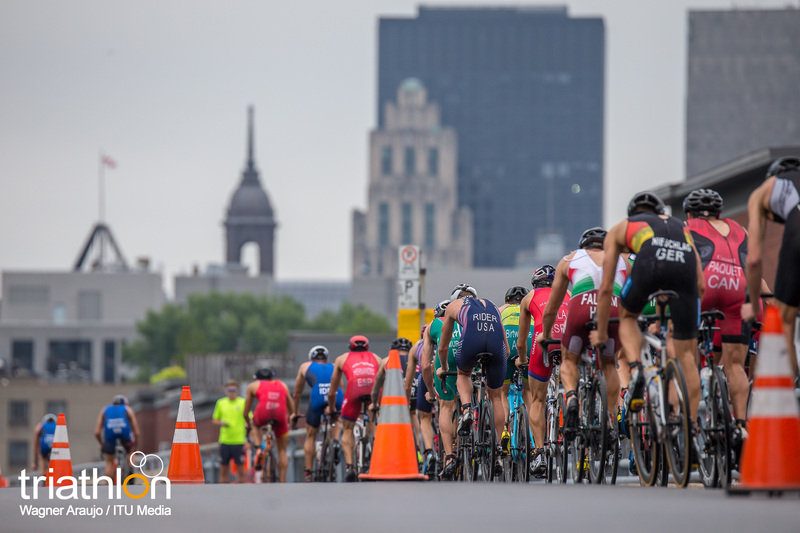 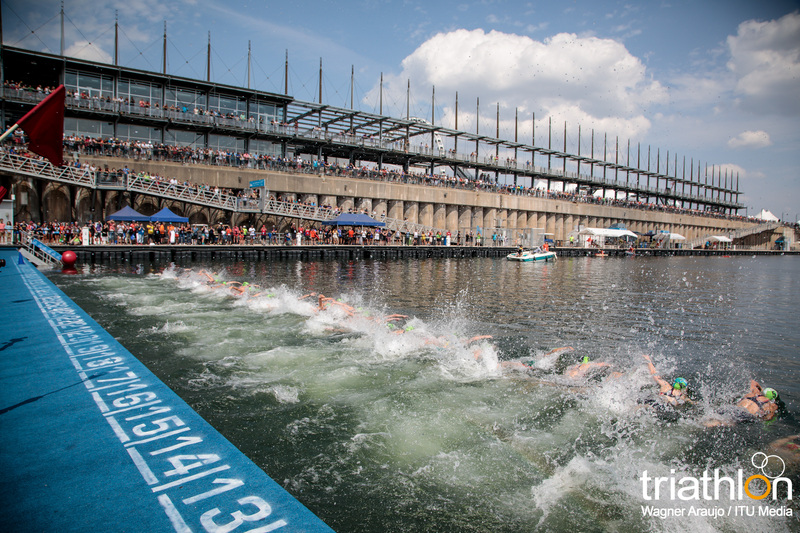 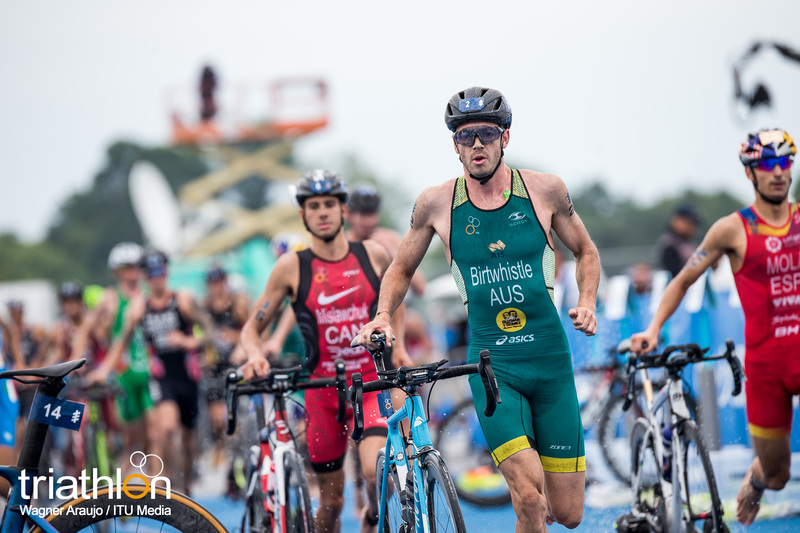 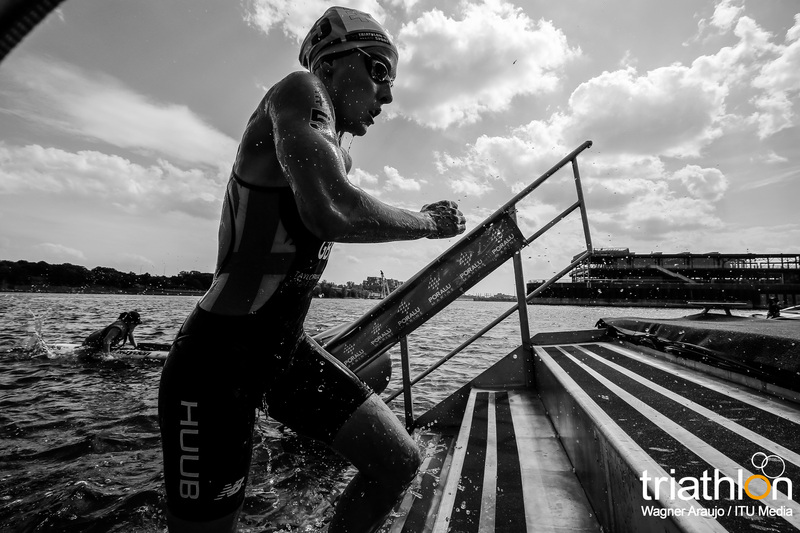 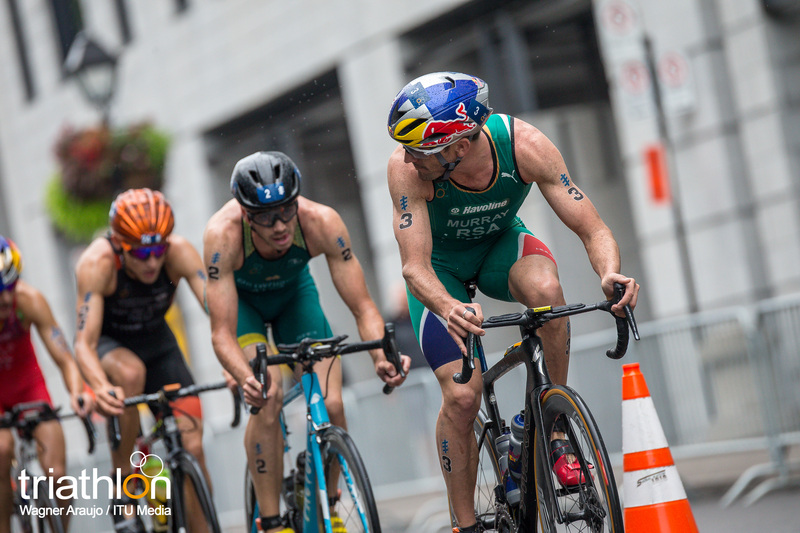 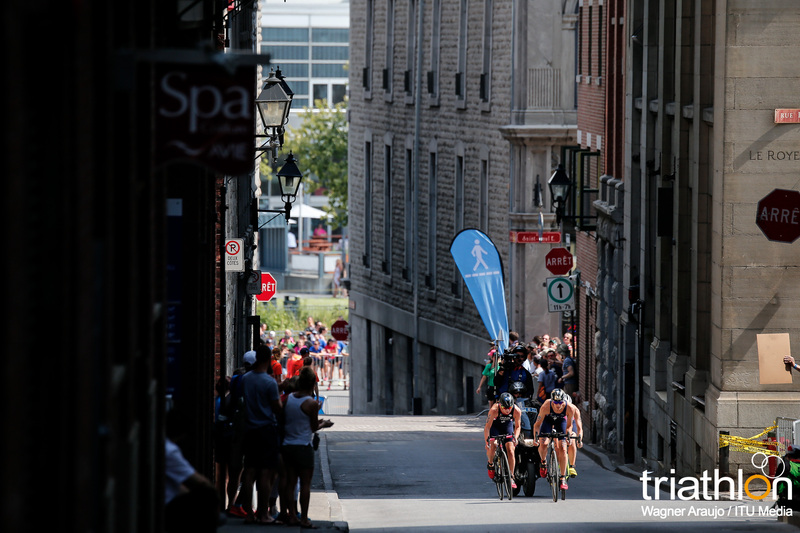 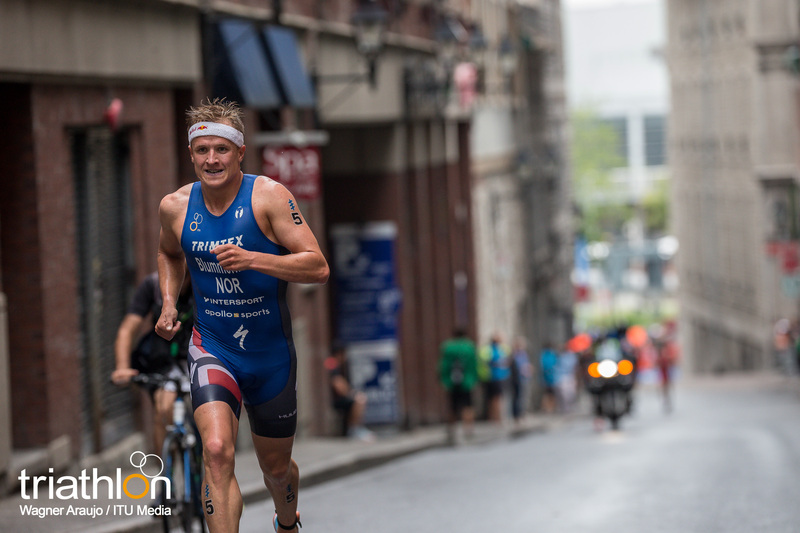 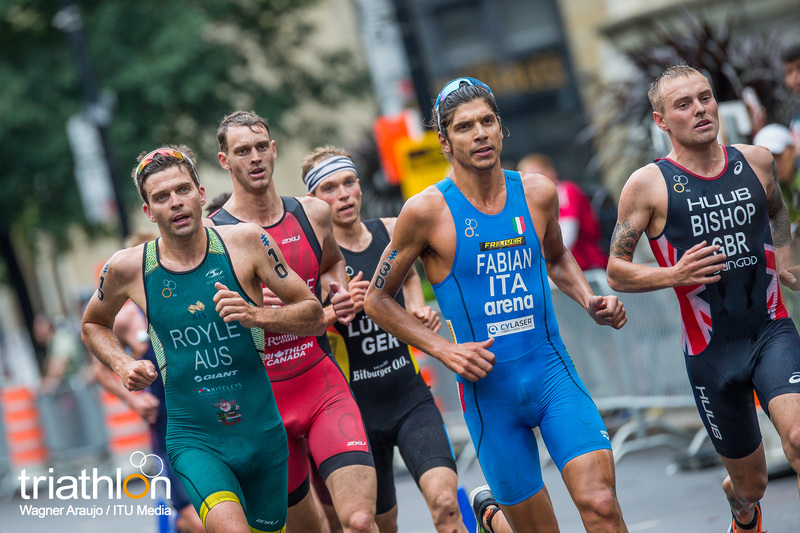 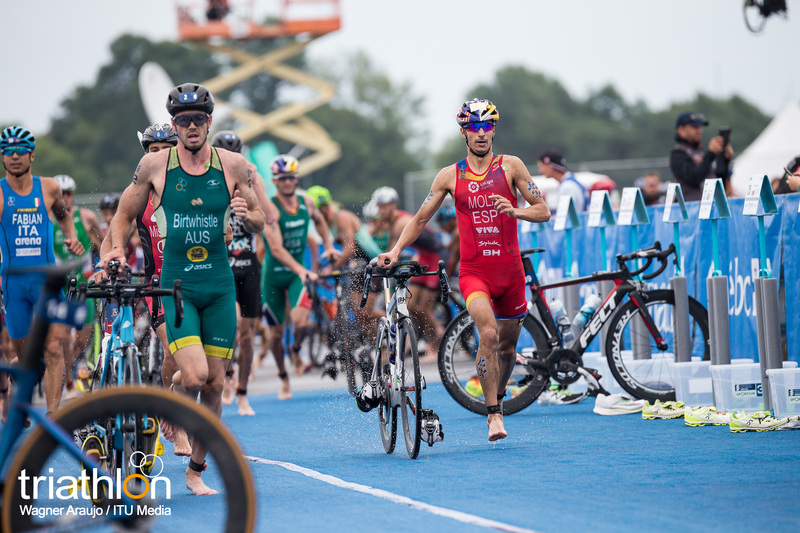 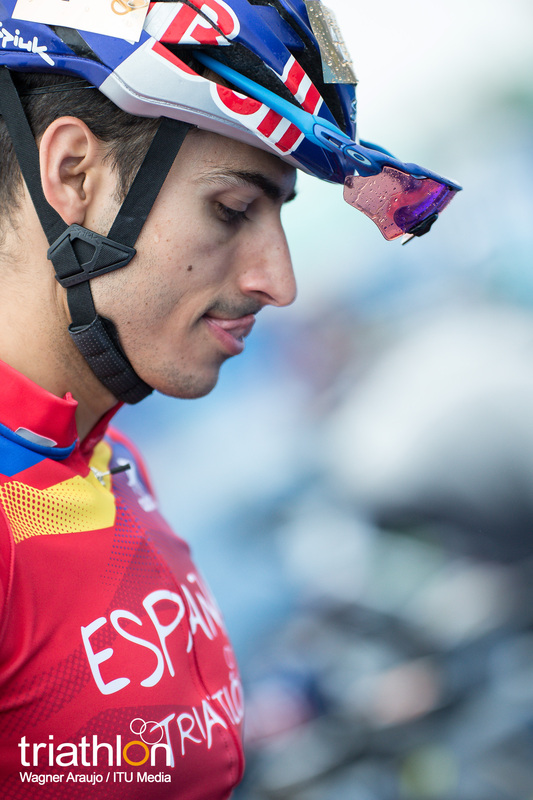 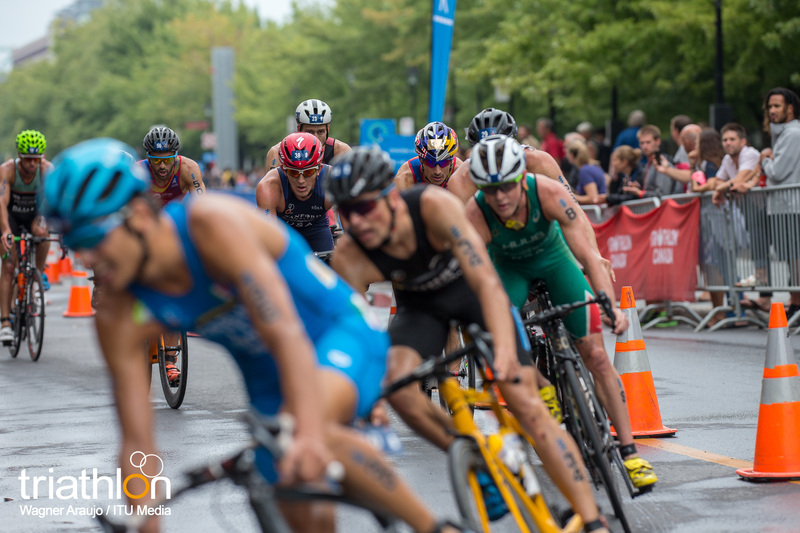 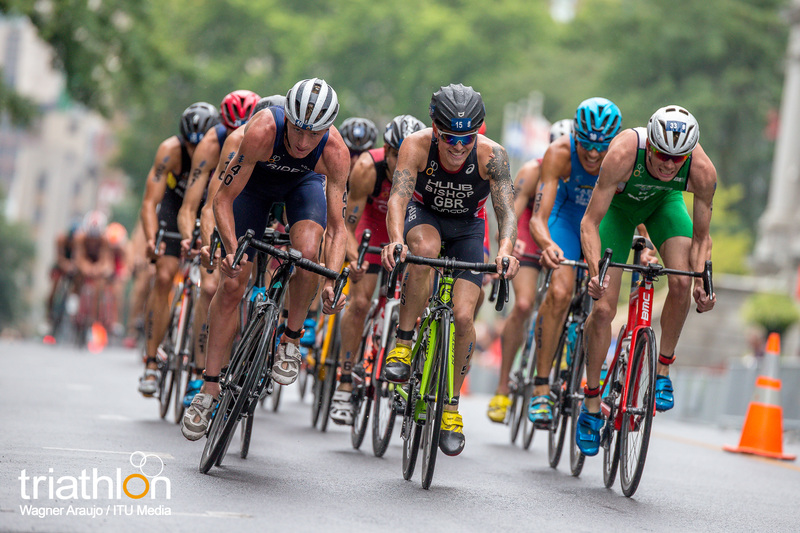 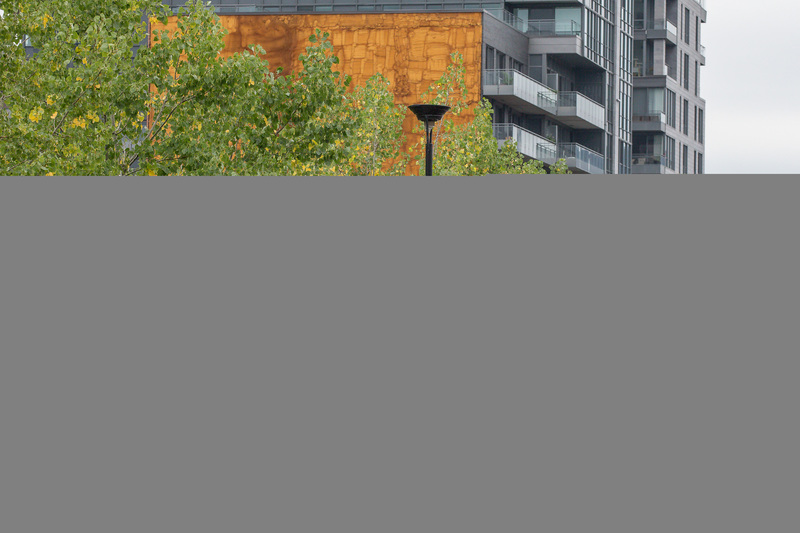 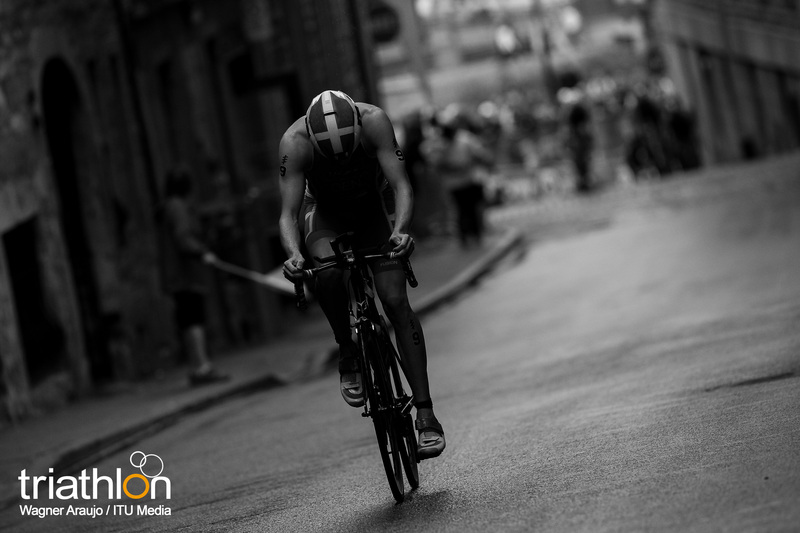 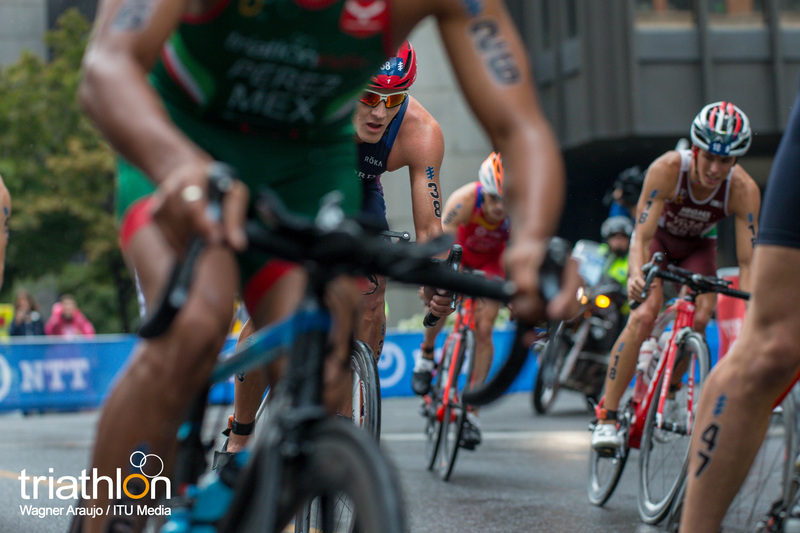 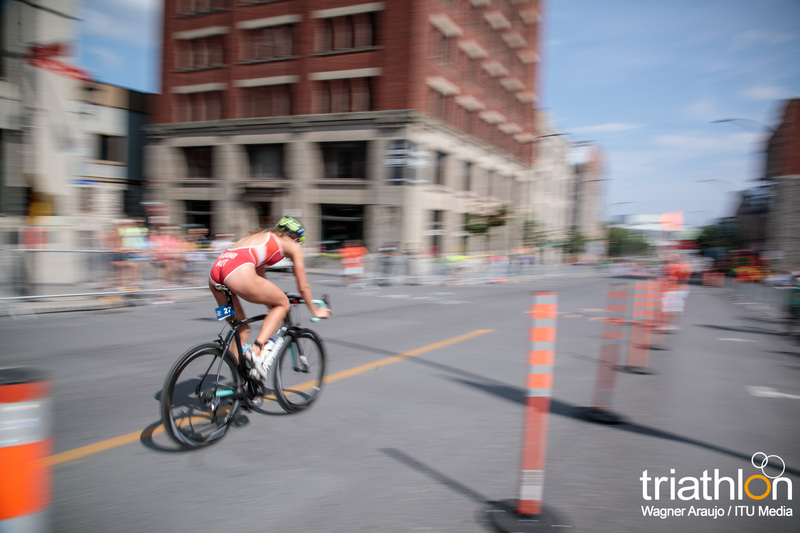 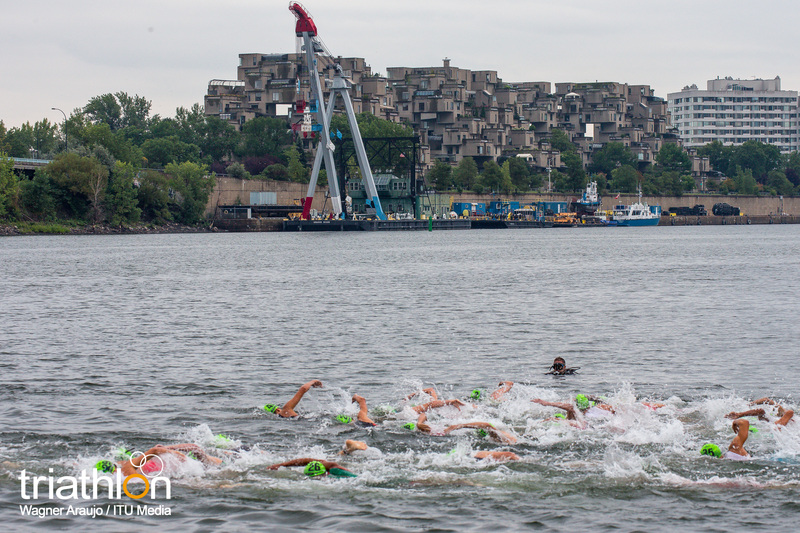 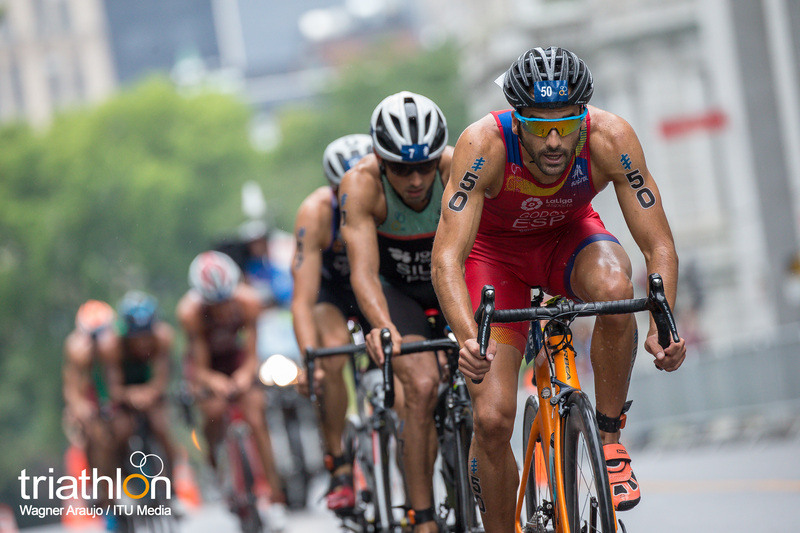 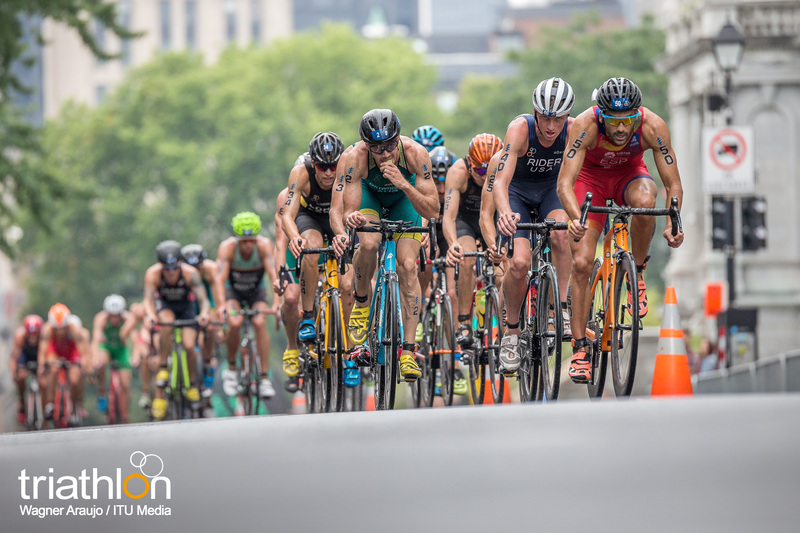 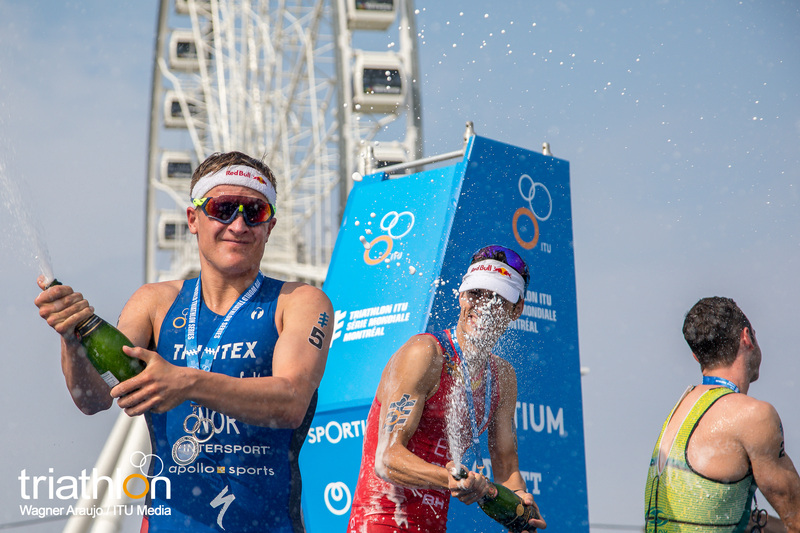 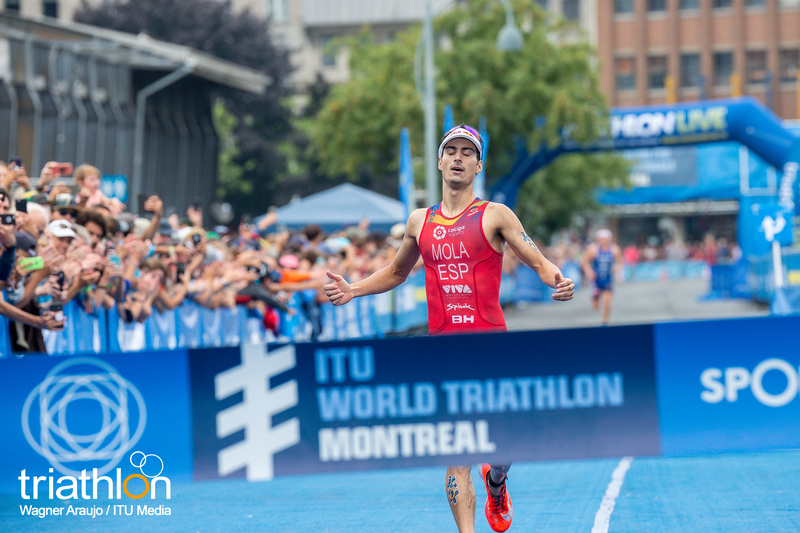 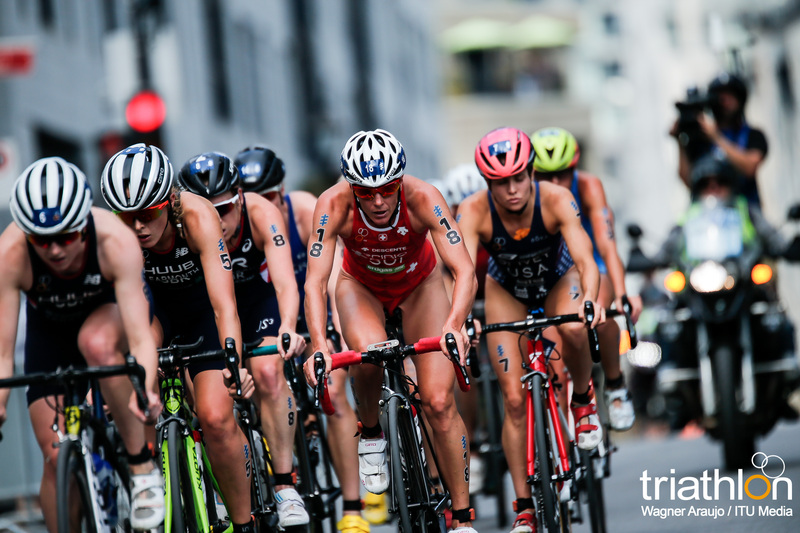 Having another best run of the season, Spaniard Mario Mola had a blistering come-from-behind performance to become the victor for the fourth time this season after his win at the 2018 ITU World Triathlon Montreal. 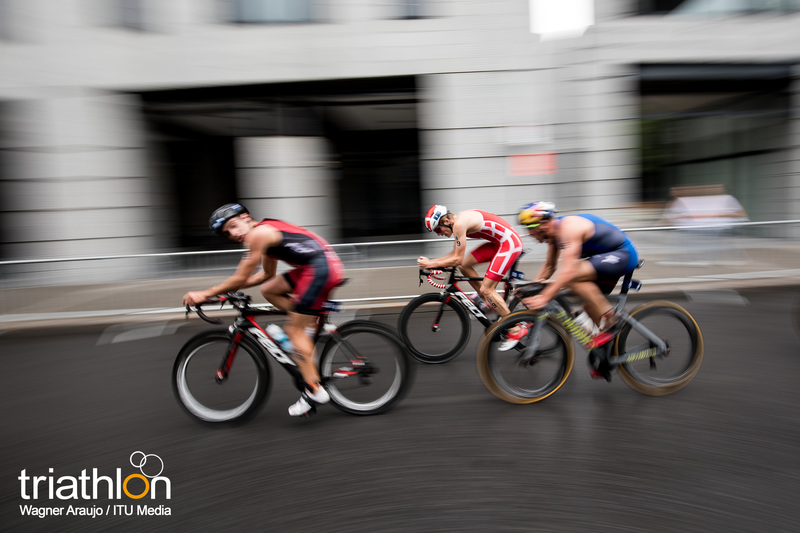 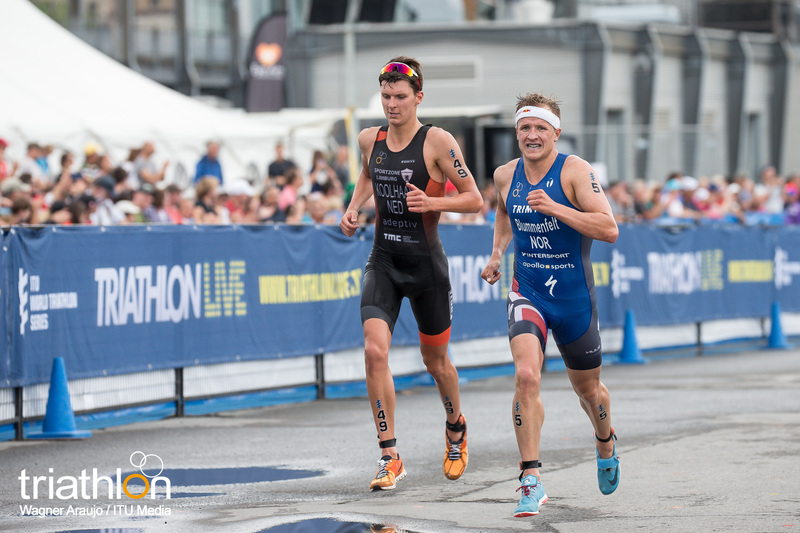 Leaving the second transition with a deficit of over a minute, Mola flipped on his switch to chase down Norwegian Kristian Blummenfelt, who led for the entire leg until the final kilometre of the race when the Spaniard took control. 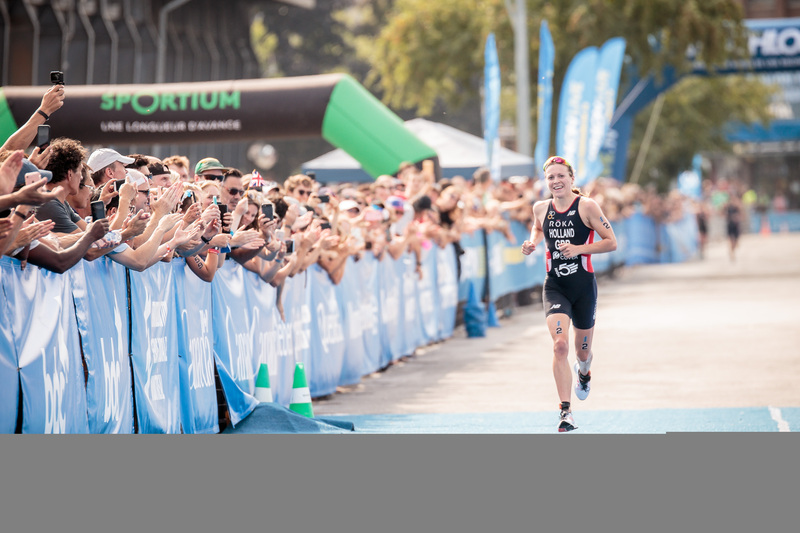 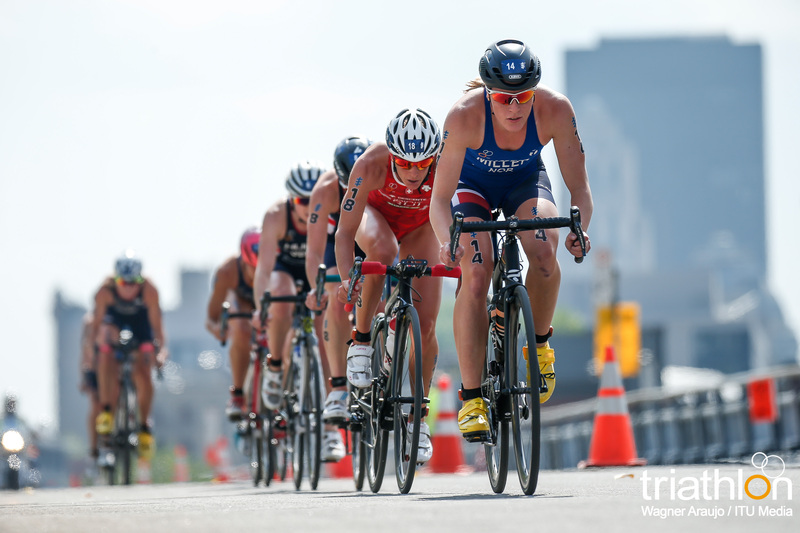 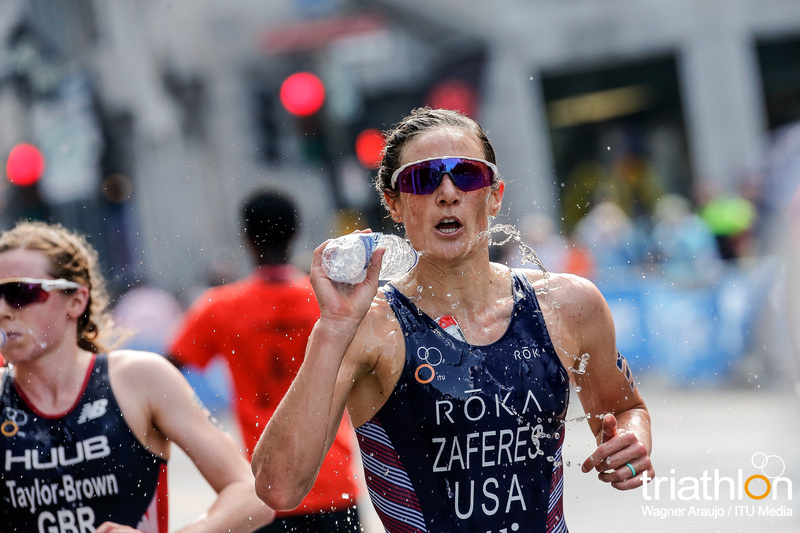 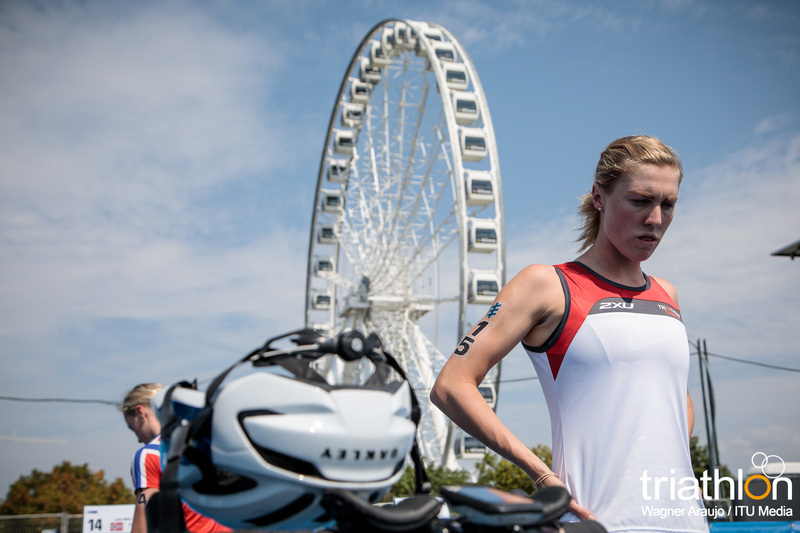 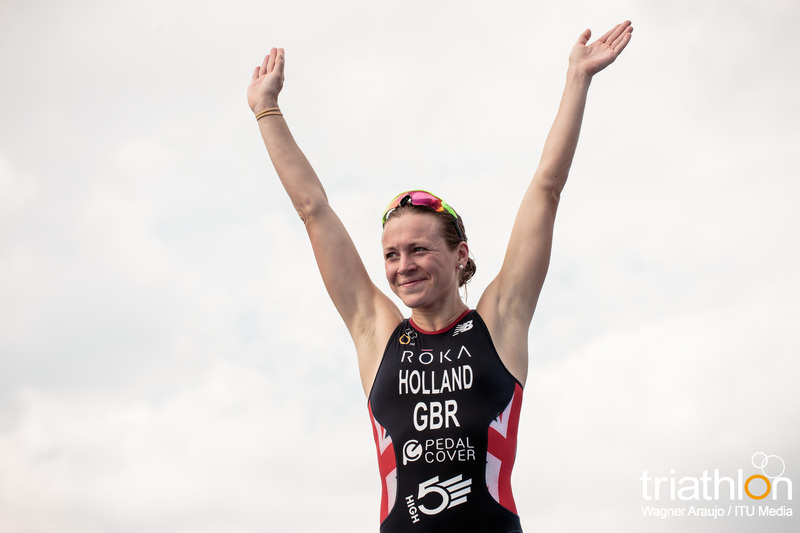 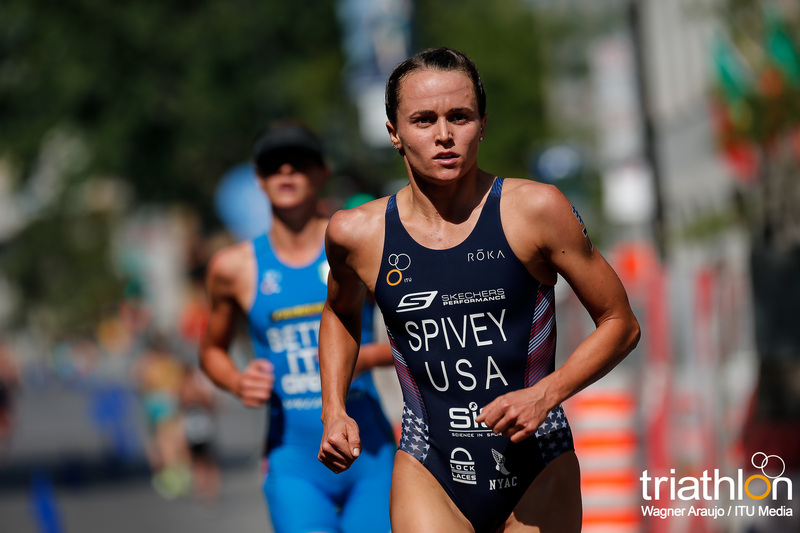 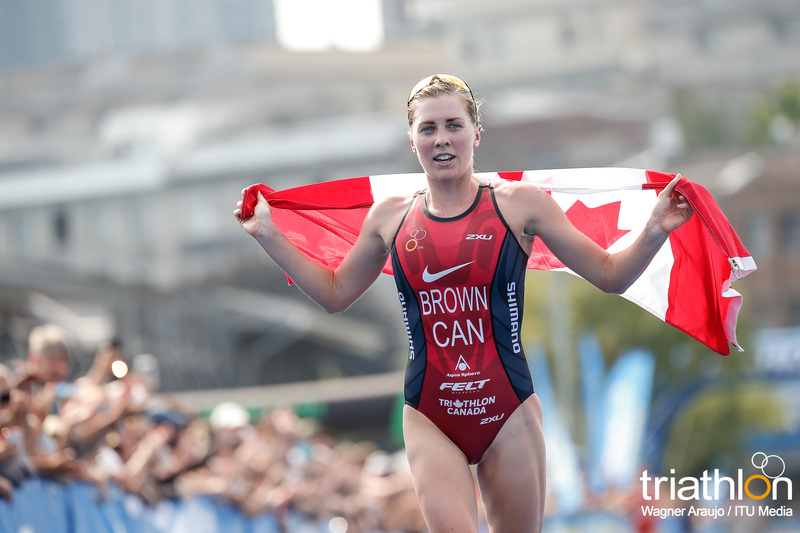 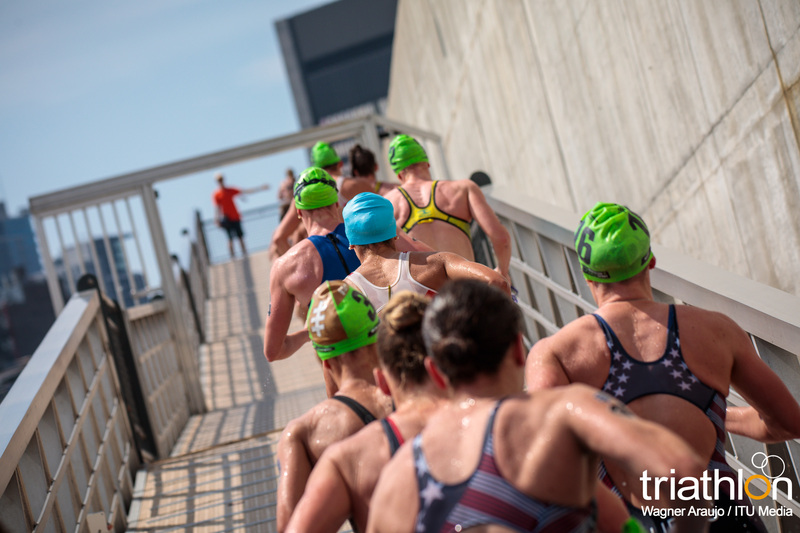 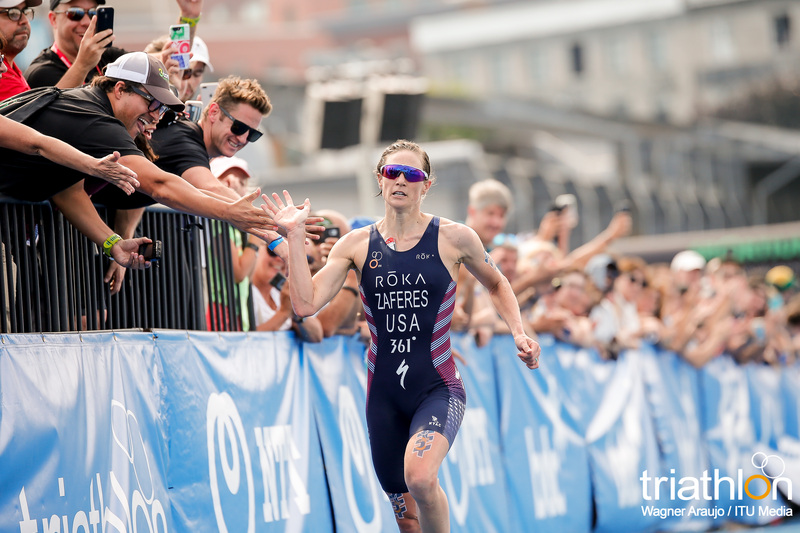 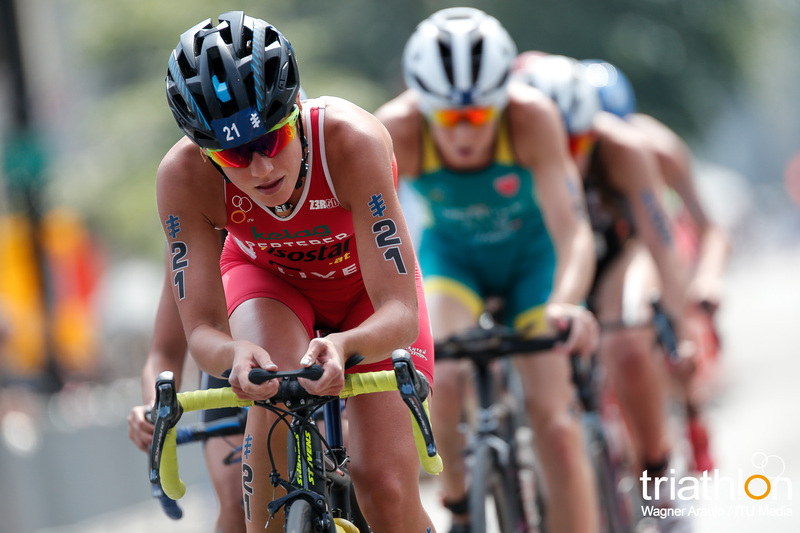 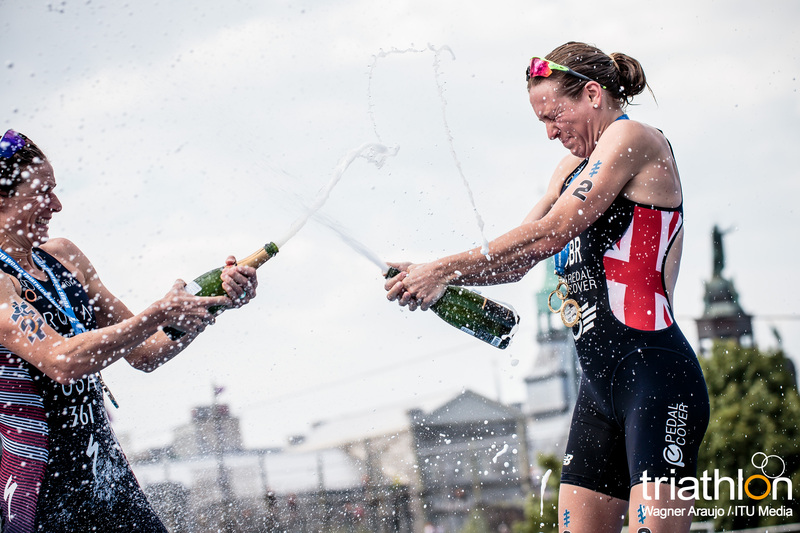 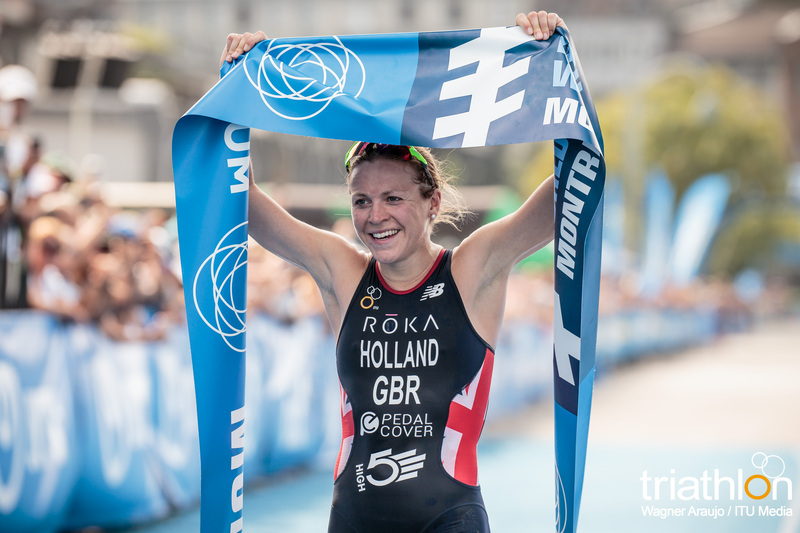 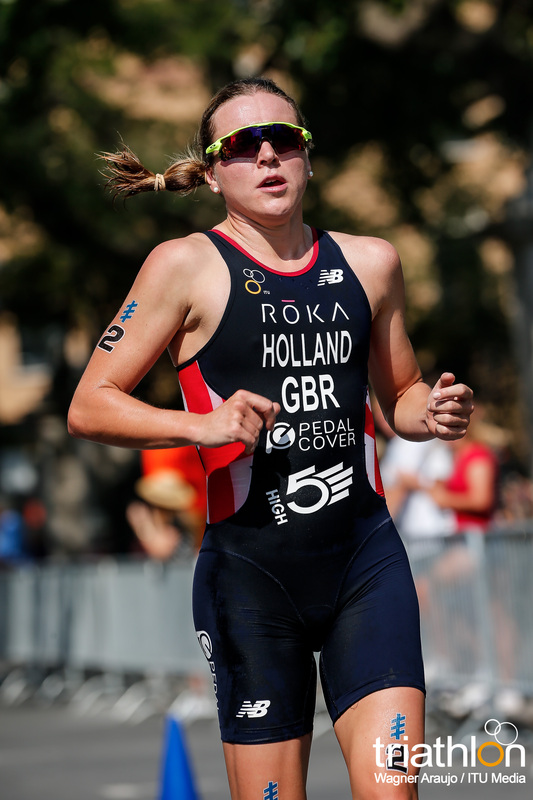 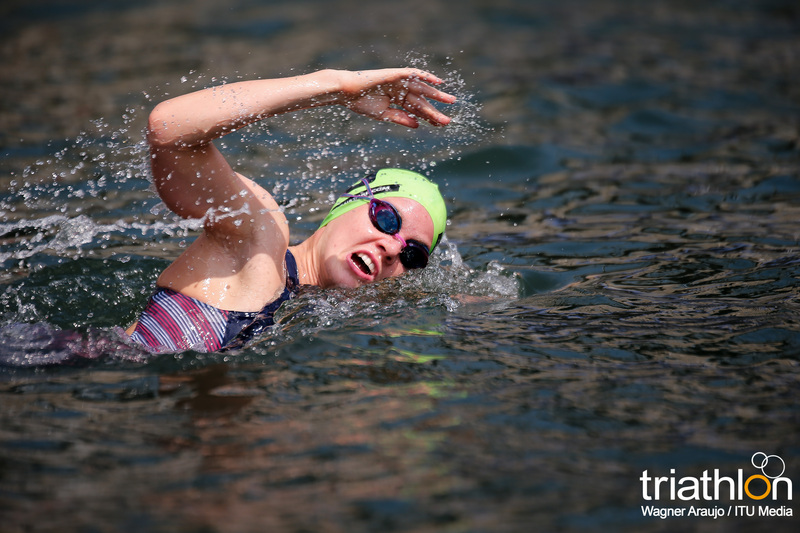 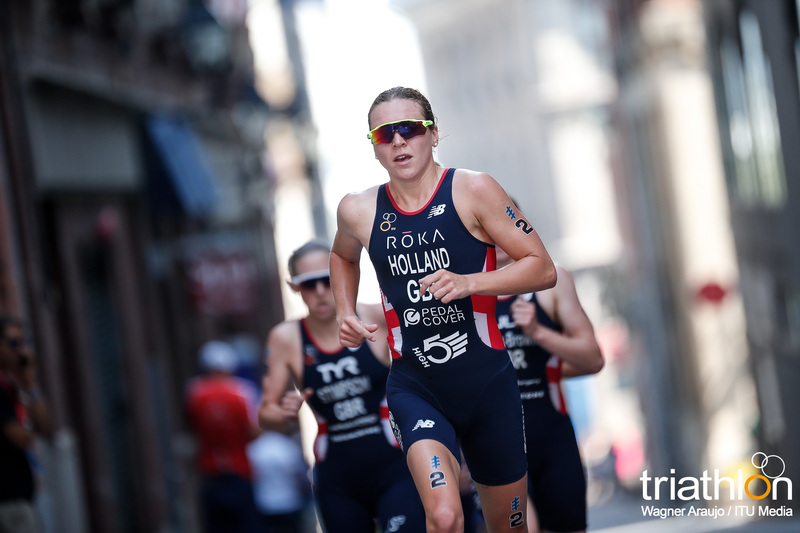 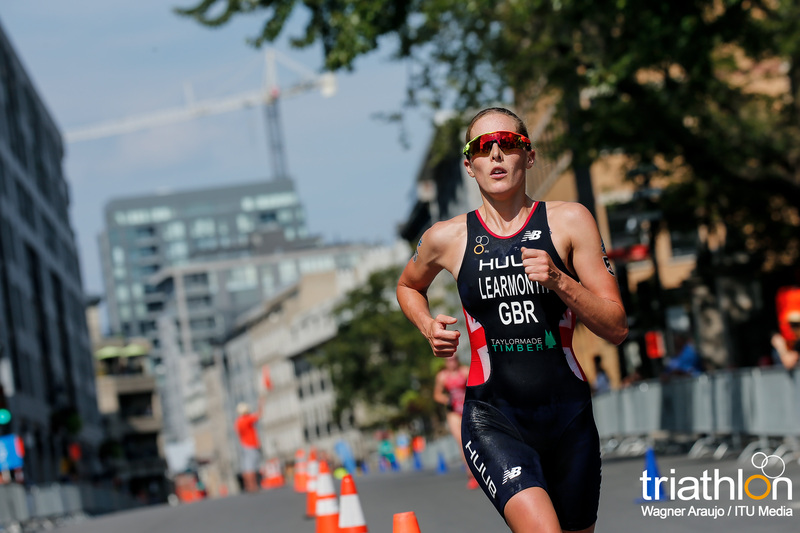 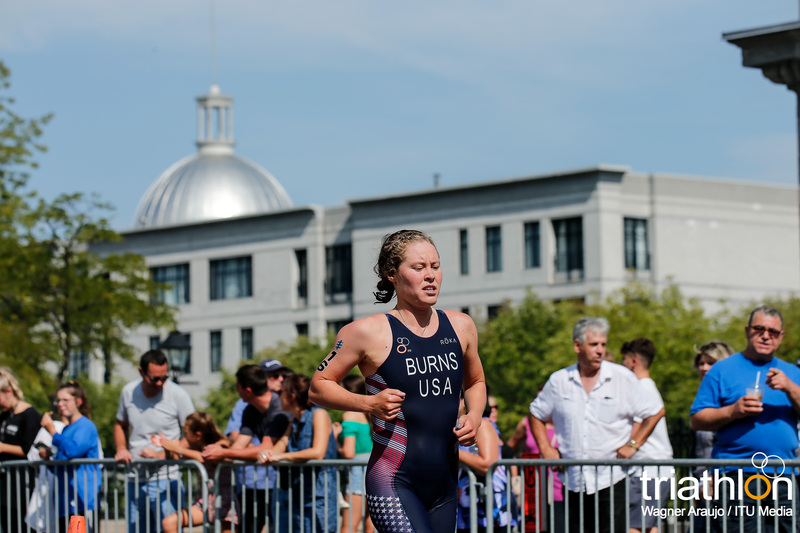 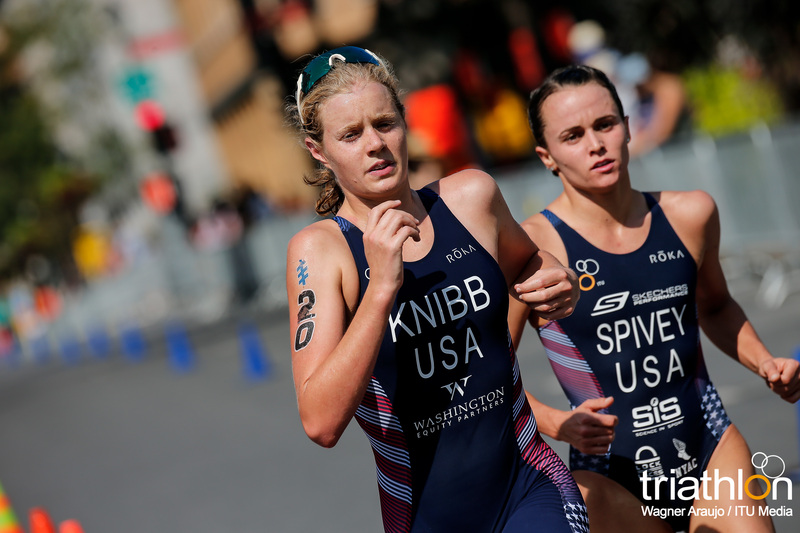 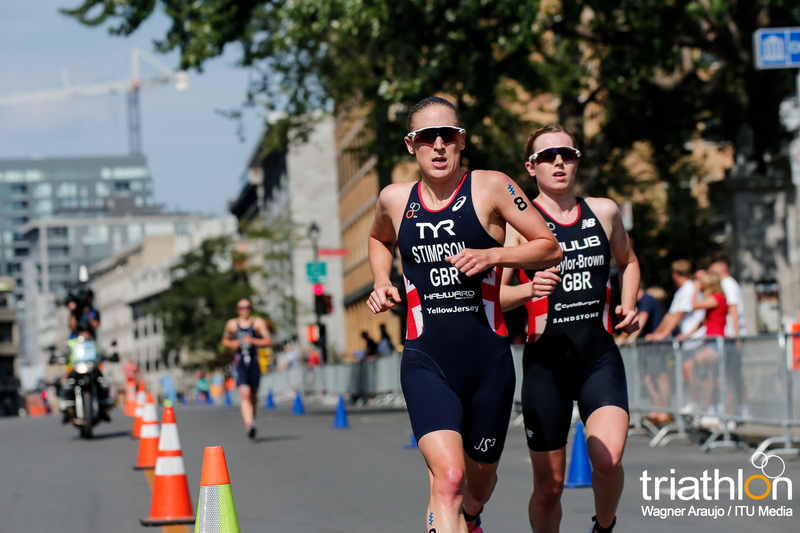 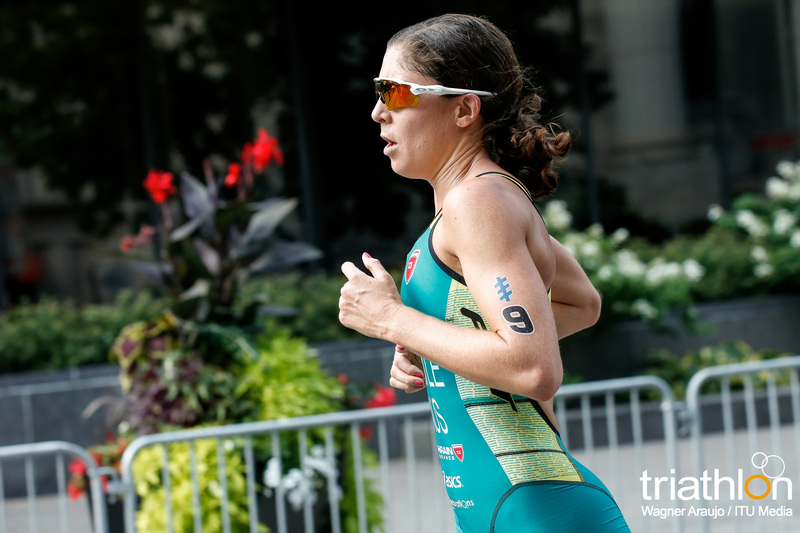 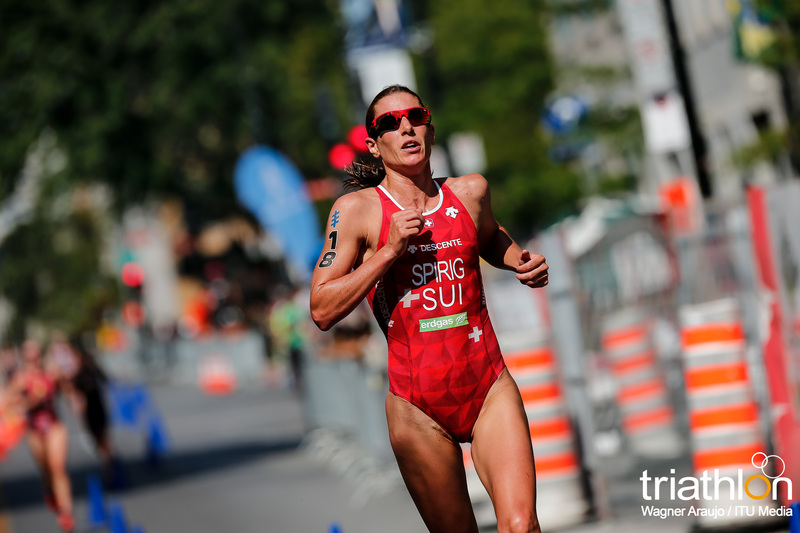 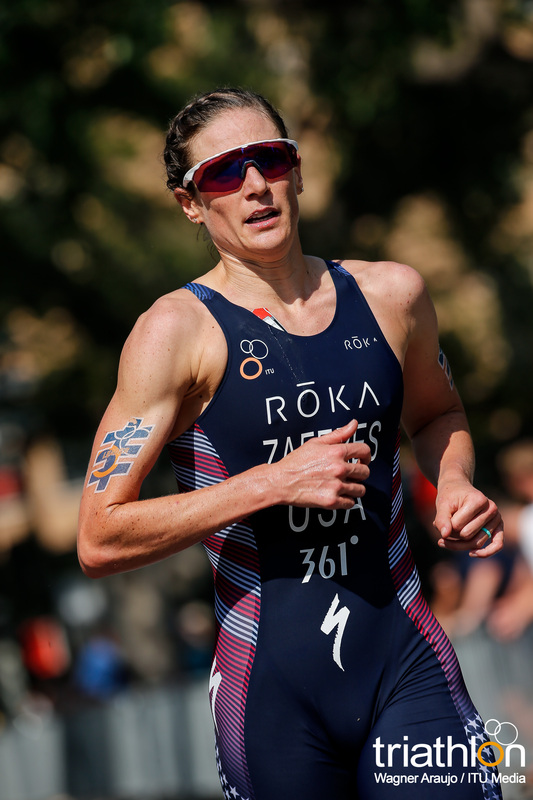 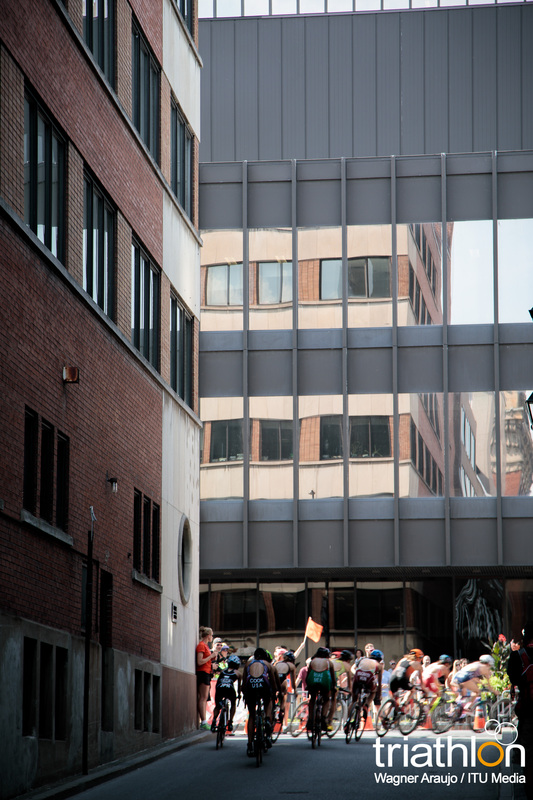 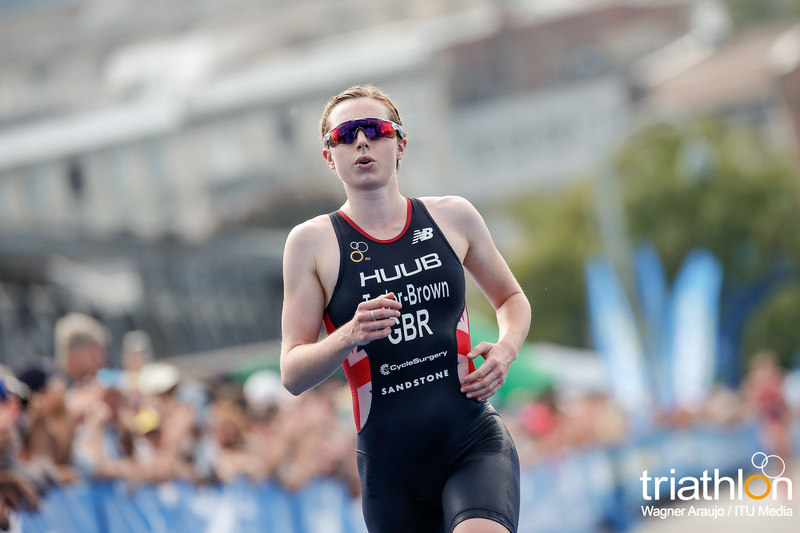 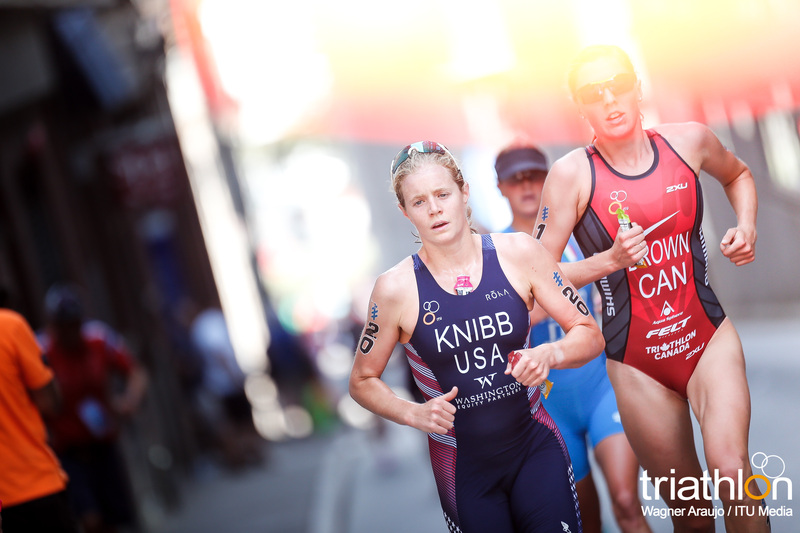 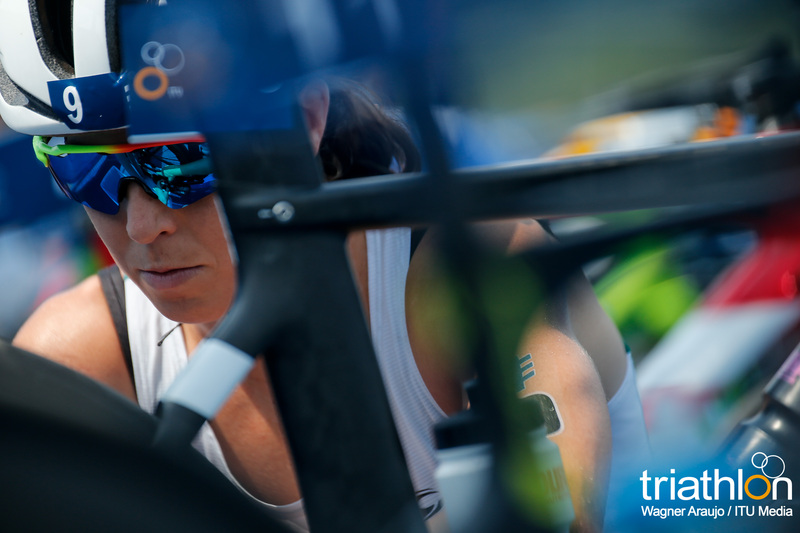 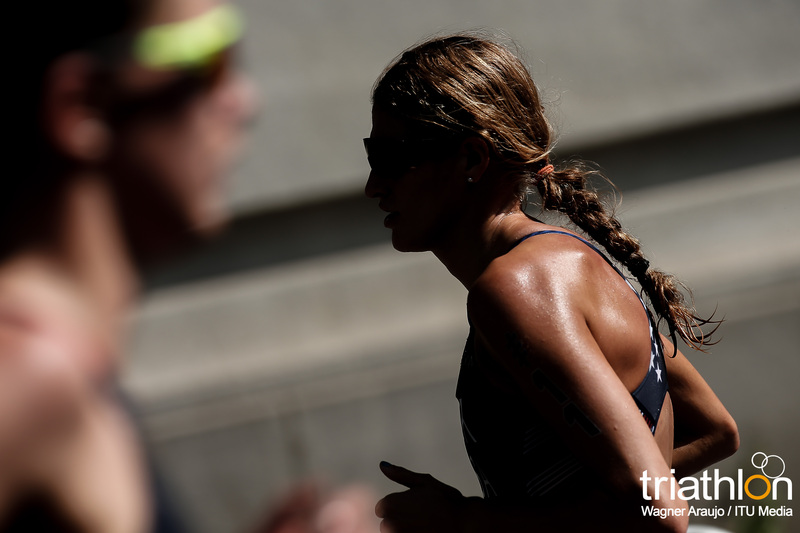 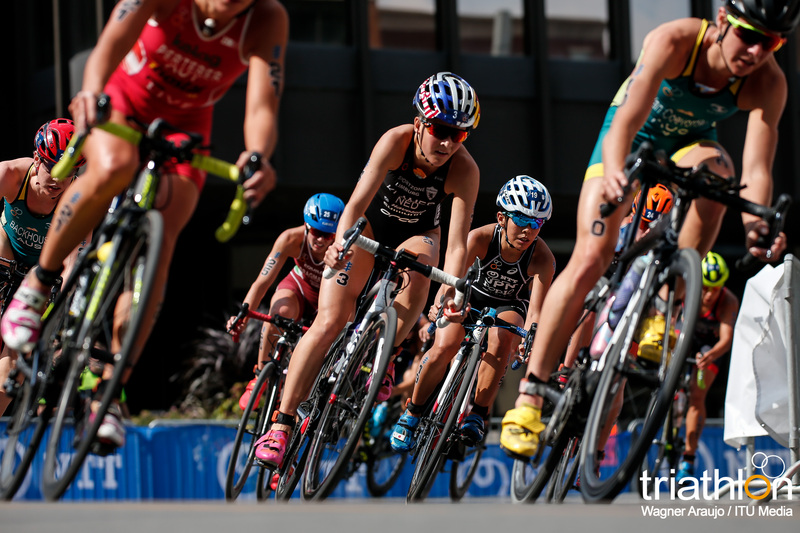 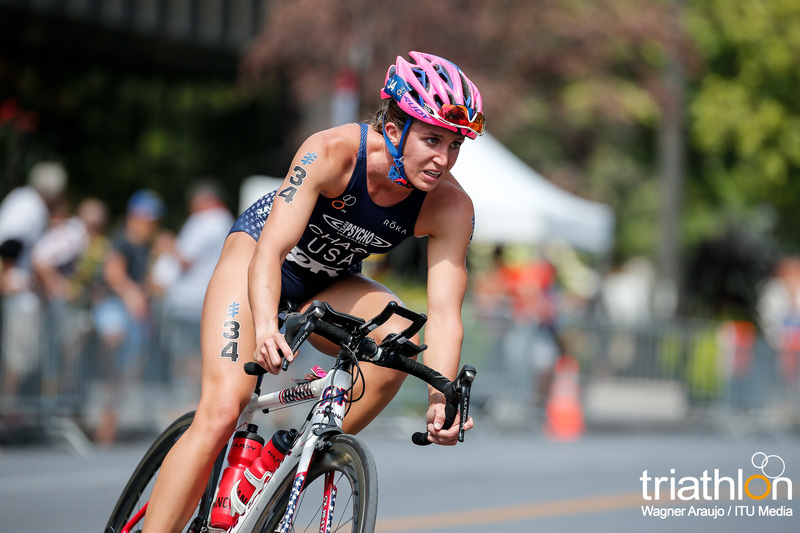 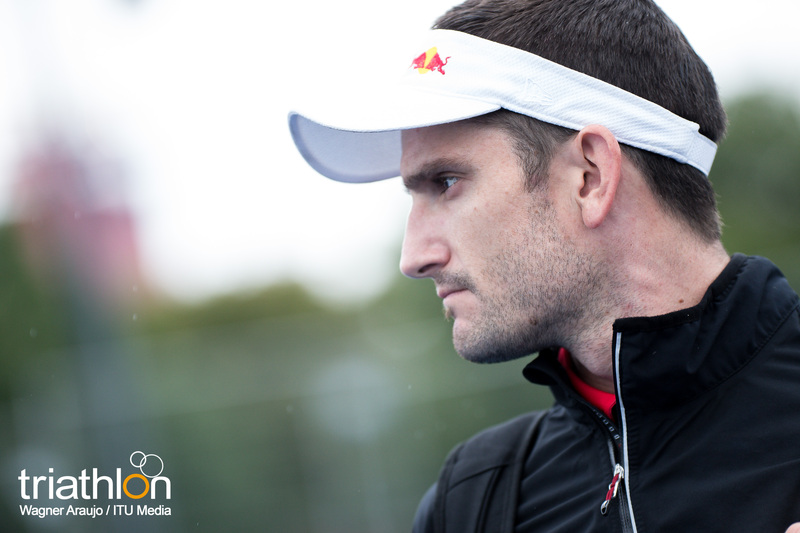 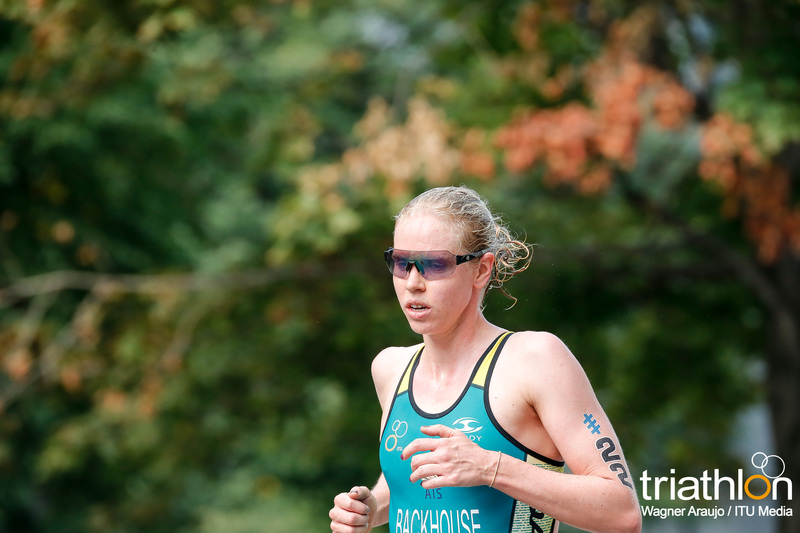 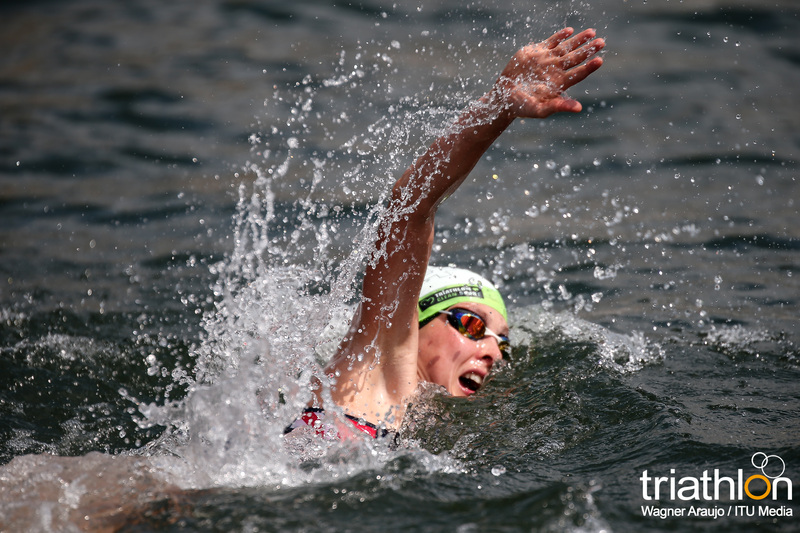 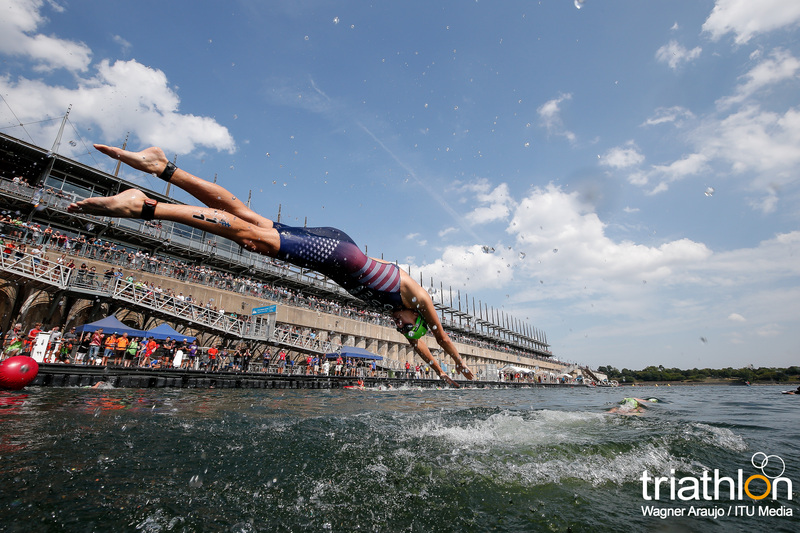 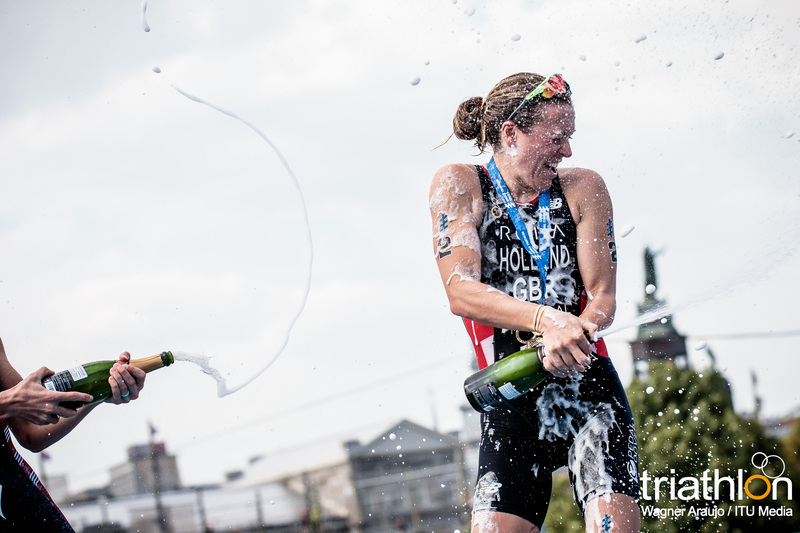 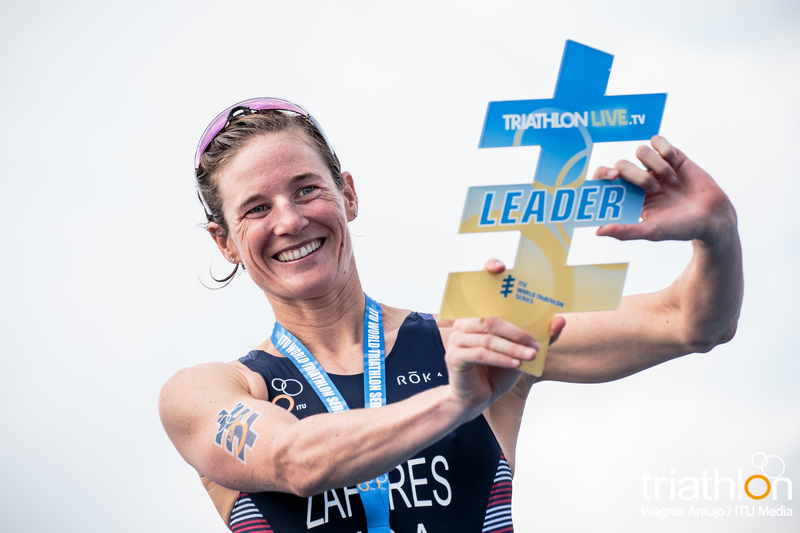 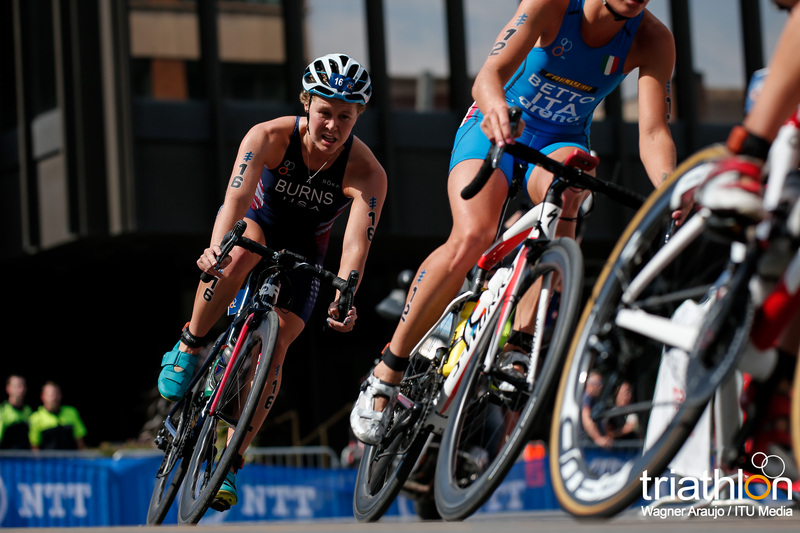 “It was definitely one of the best races I have done. 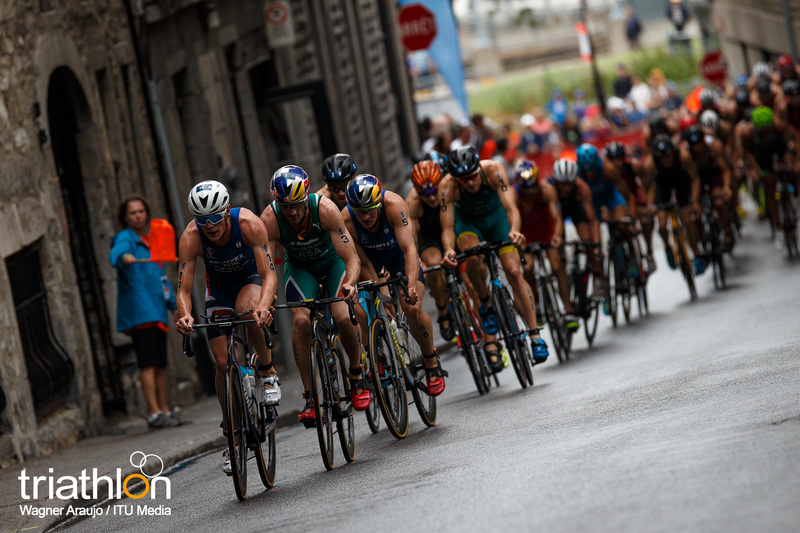 Even though on the bike there was a breakaway, where Kristian (Blummenfelt) and some other guys played a big role and did very well. 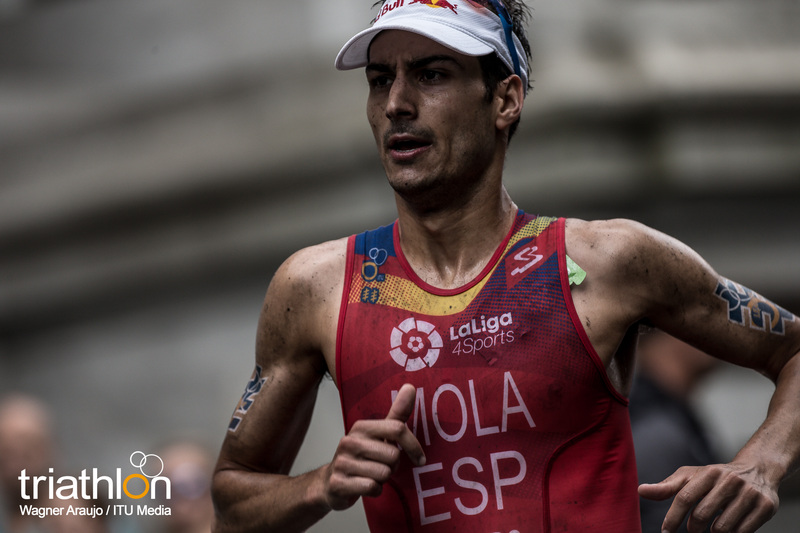 But I had to believe that running on my best I could contend for the race and finally it worked out,” said Mola of his win. 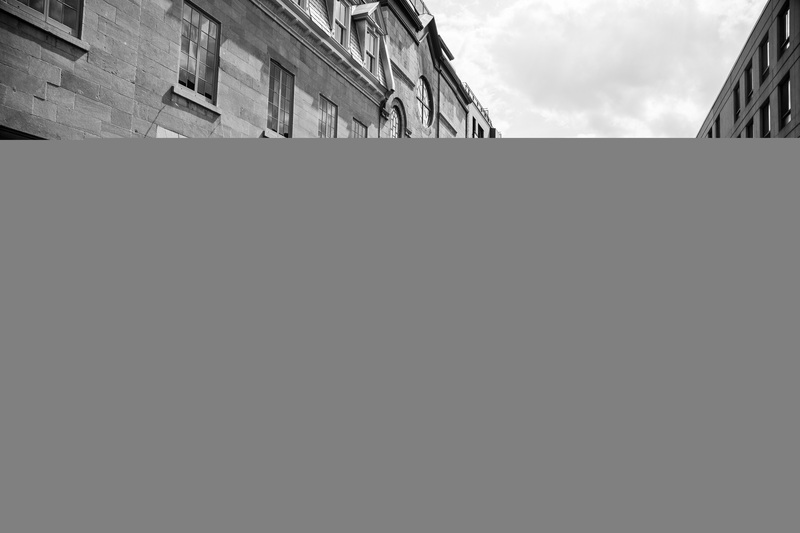 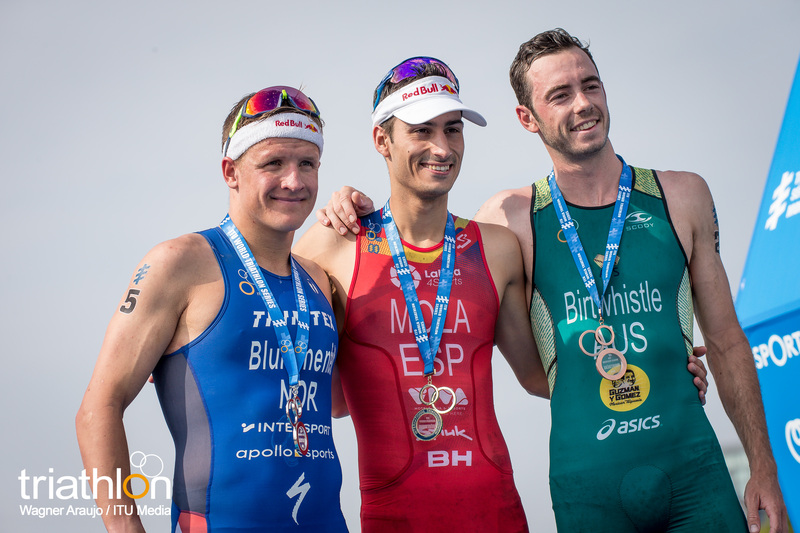 Blummenfelt then finished with the silver. 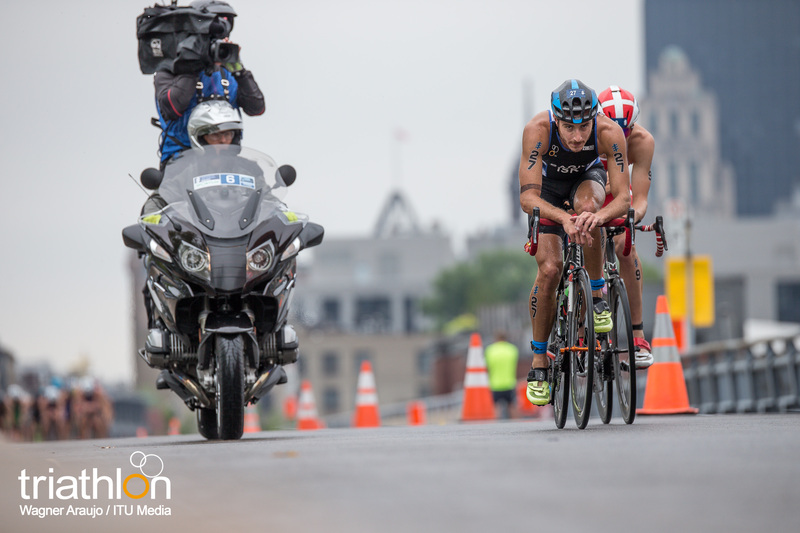 His valiant effort was showcased from start to finish. 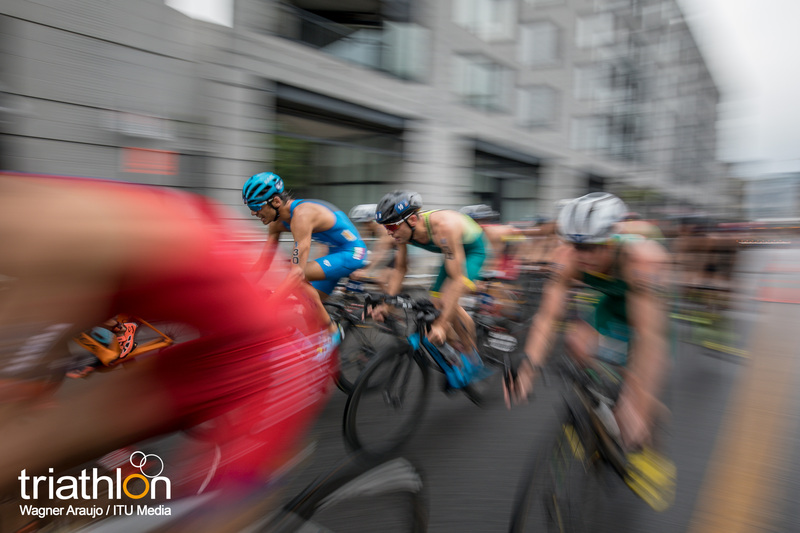 He led a breakaway on the bike, which aided him in being the front man on the run for nine kilometres until just before the finish when he was caught by Mola. 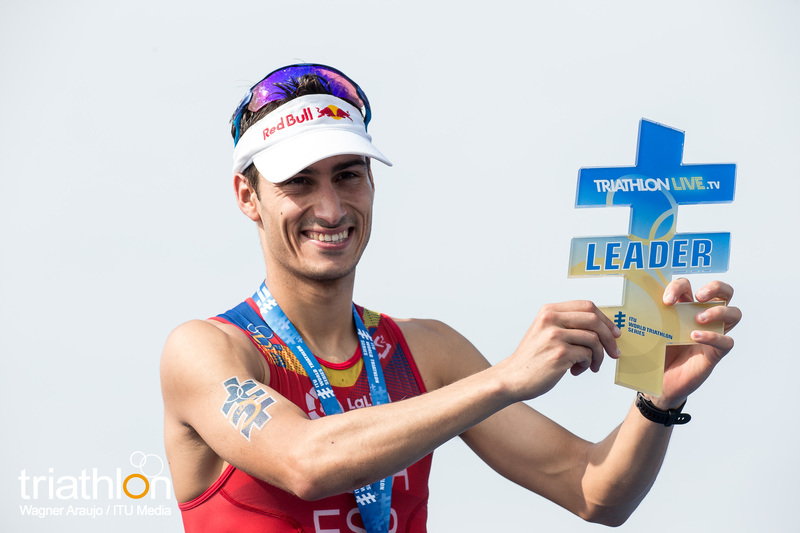 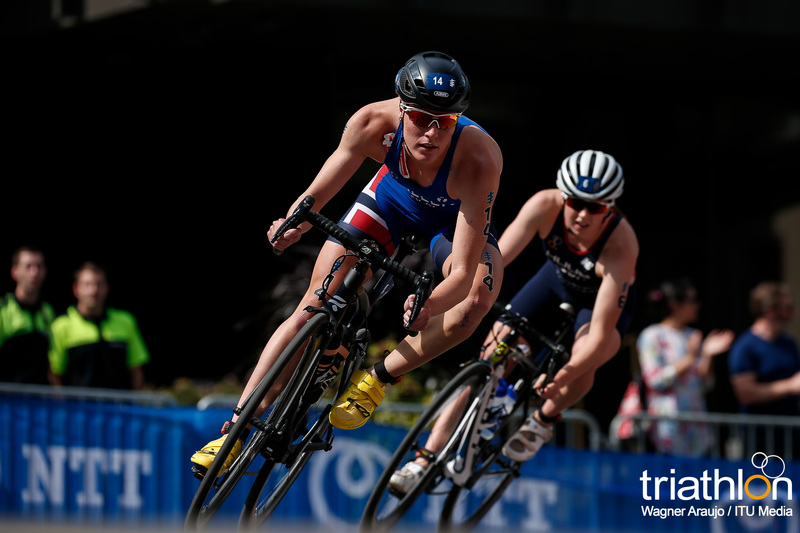 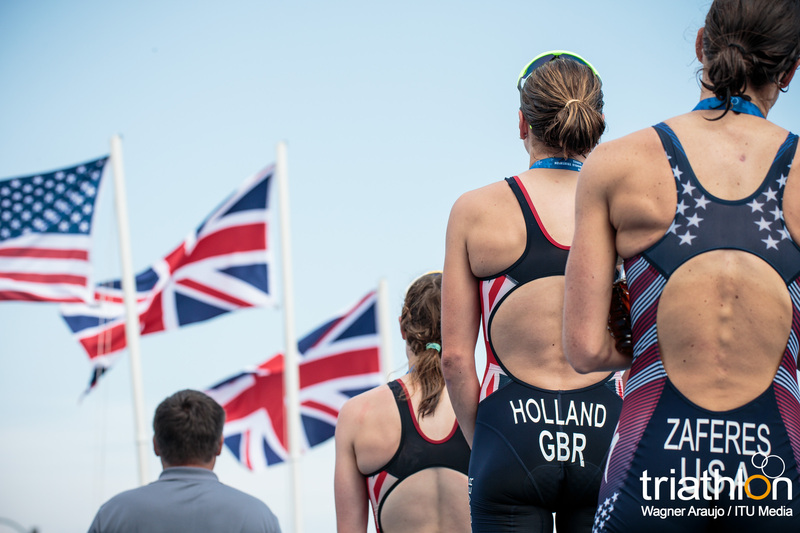 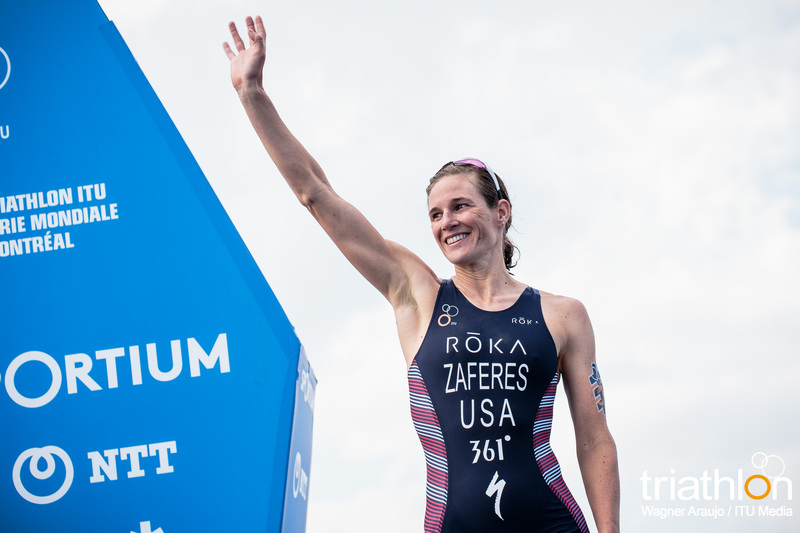 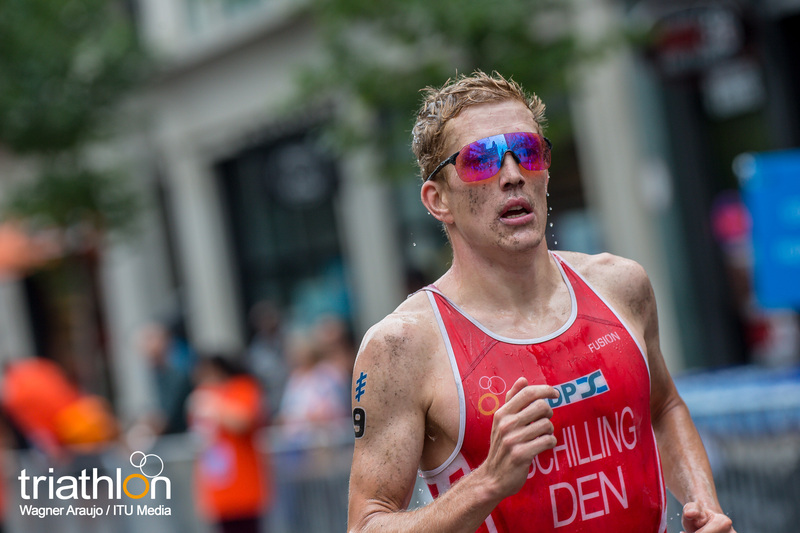 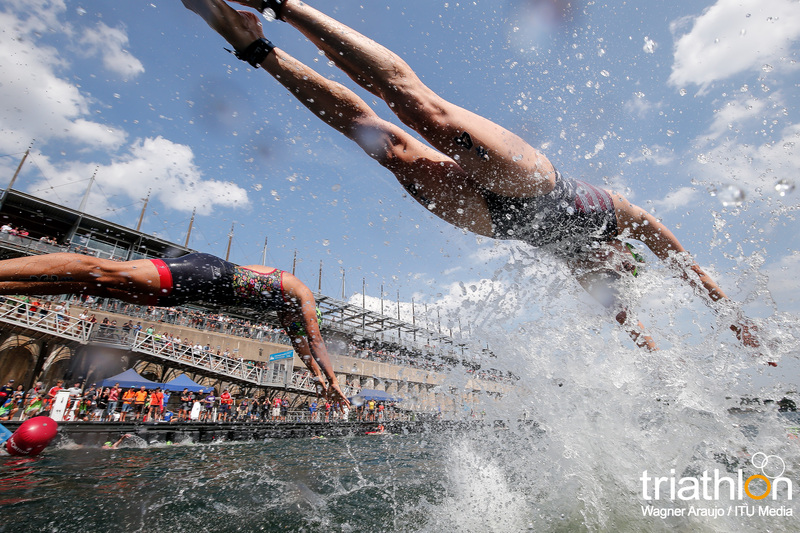 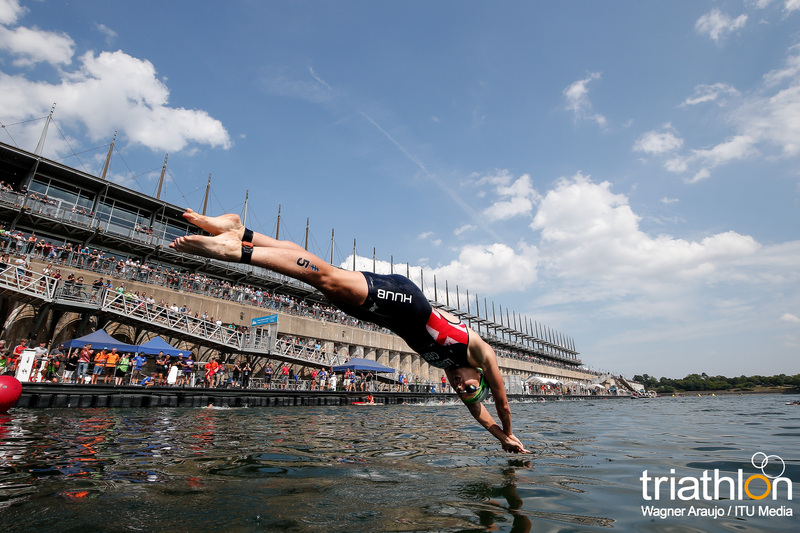 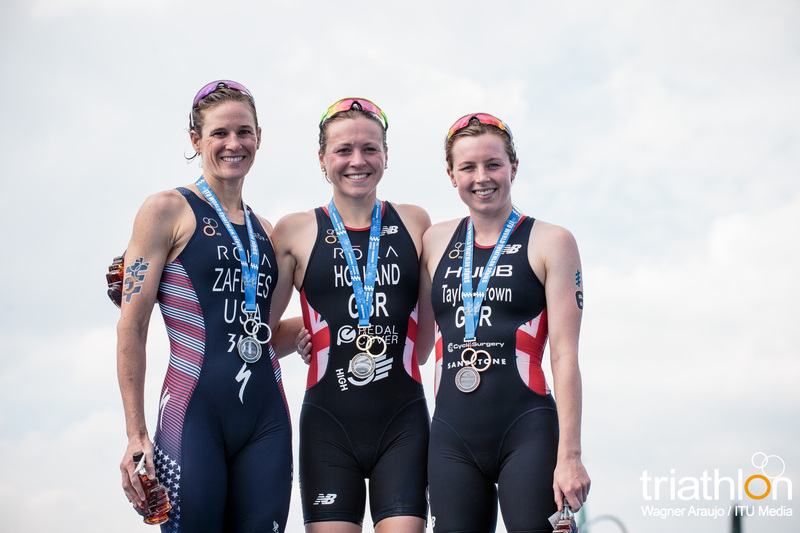 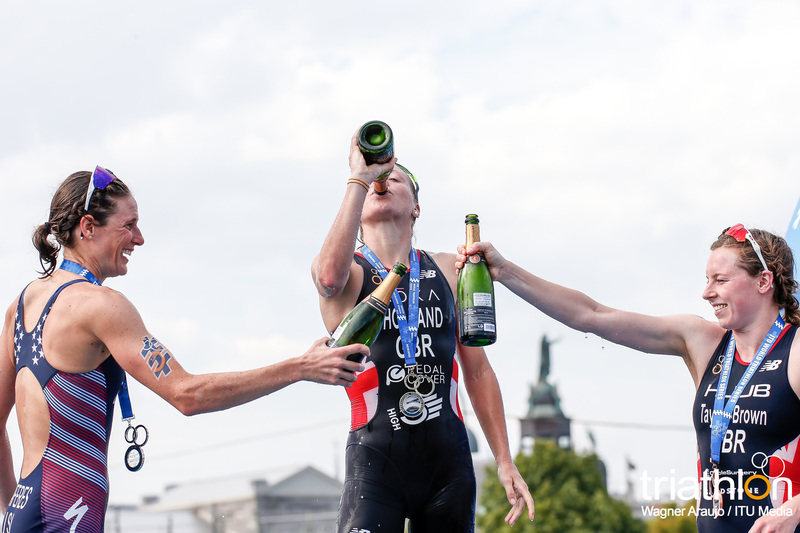 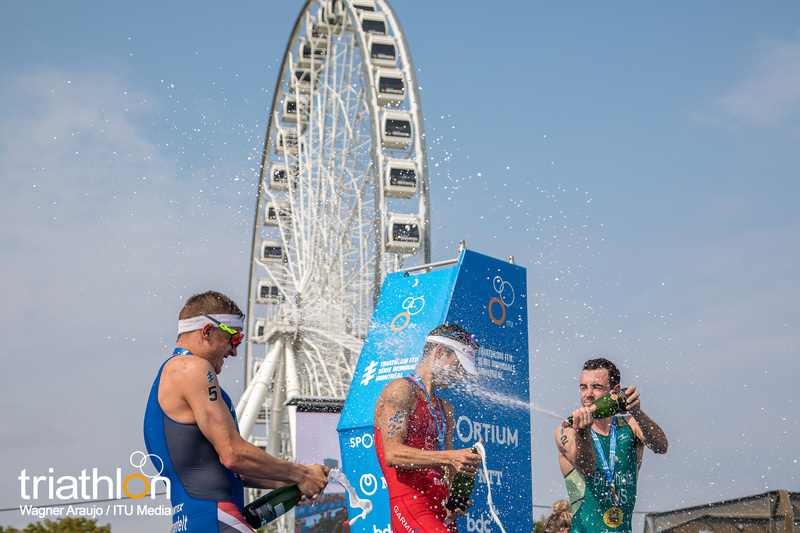 The silver was added to his collect of three WTS podiums this season. 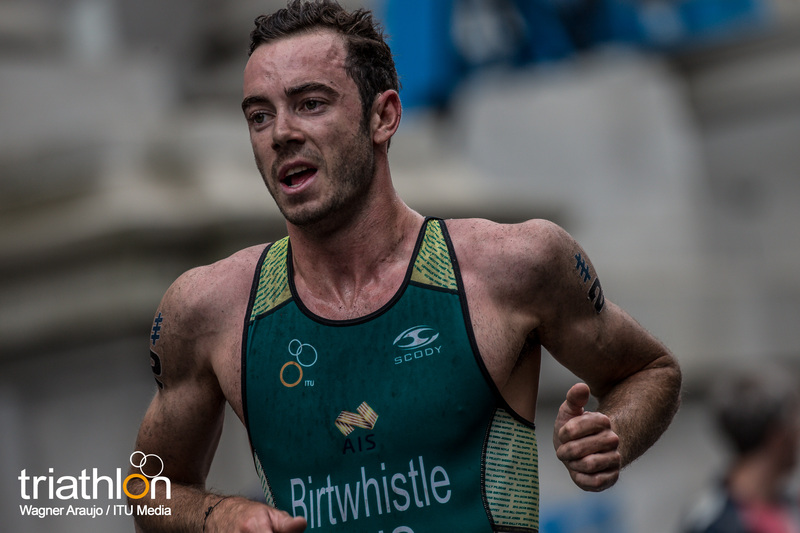 Finishing off the podium was Aussie Jacob Birtwhistle, who once again came through in the final metres of the race to weed off Richard Murray (RSA) to take the bronze medal and earn his third podium of the season. 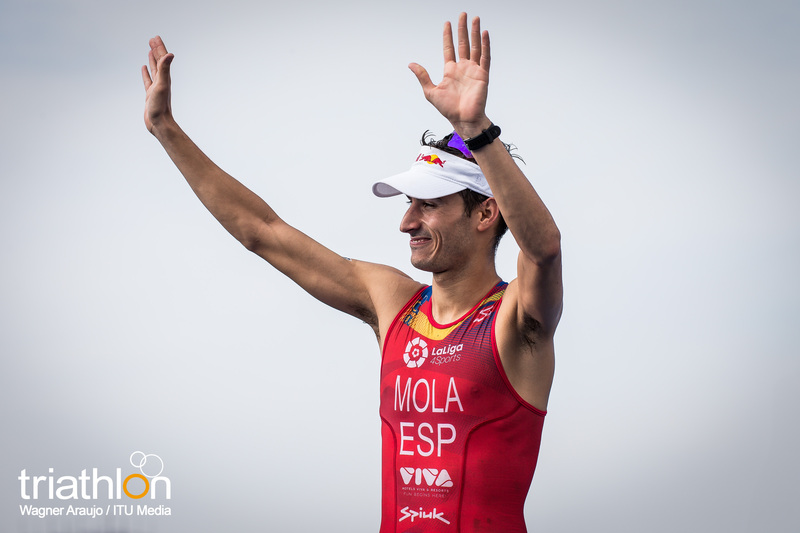 With the gold, Mola increased to 4925 points to remain the overall Series leader. 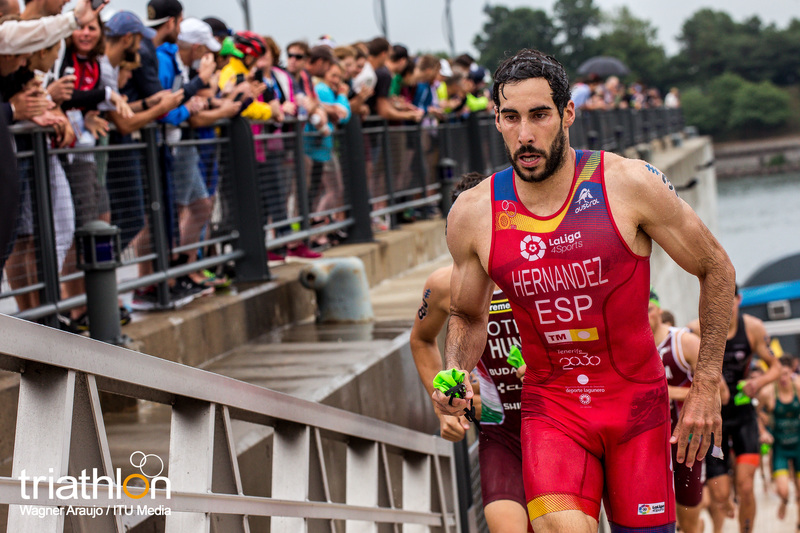 He will enter the Grand Final in the Gold Coast and despite being 824 points ahead of Birtwhistle in second, the World Title is not guaranteed. 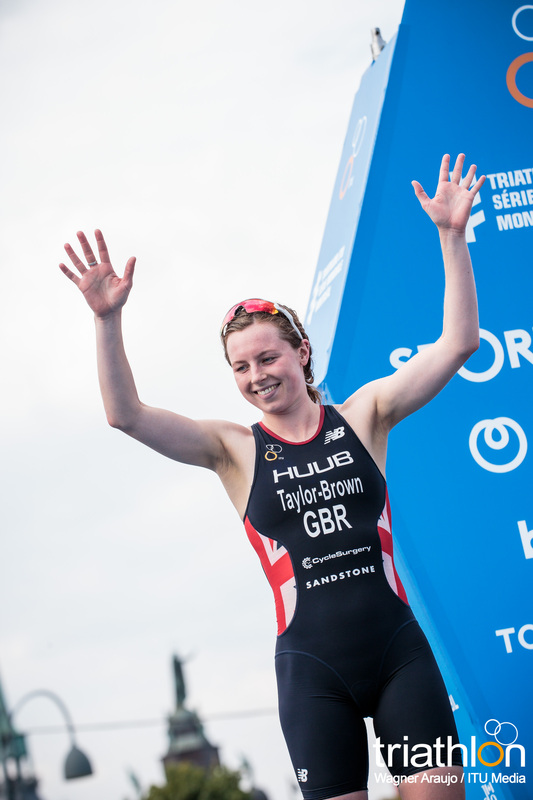 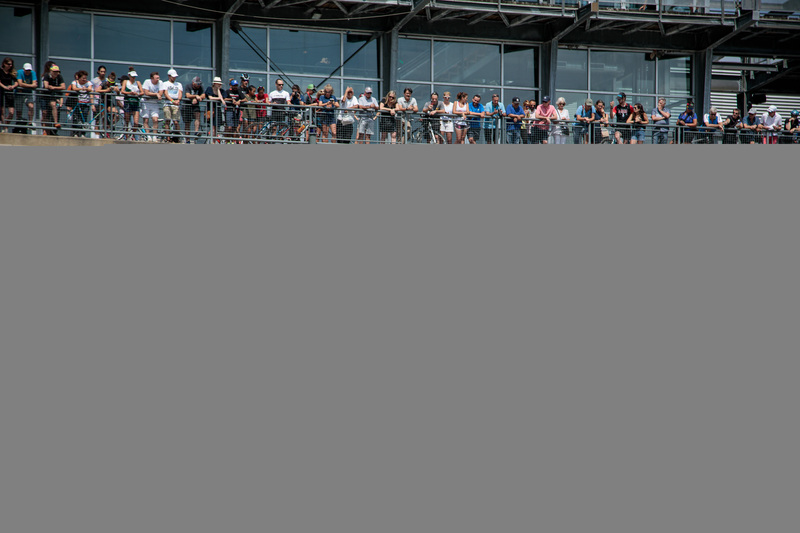 “I am really looking forward to going there and having a good race. 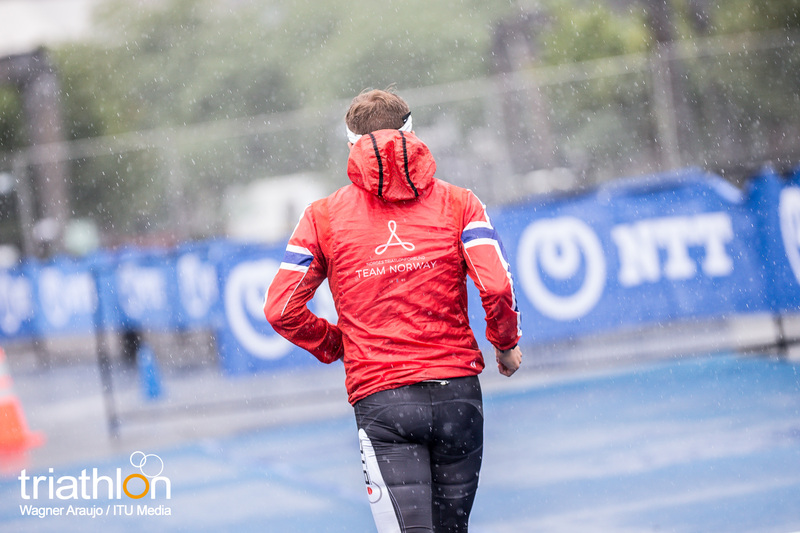 I know that it is very close, but until I cross the finish line I won’t be given anything for sure. 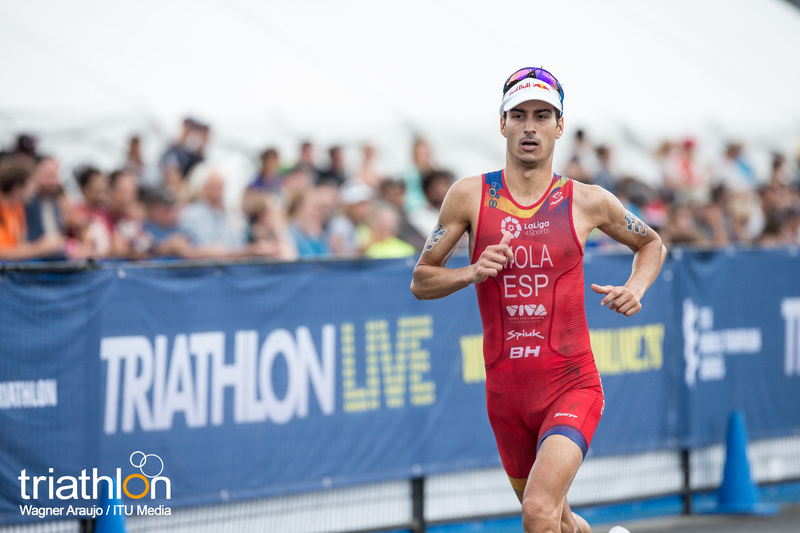 So, I will work for the next couple of weeks and hope to have a good race there in the Gold Coast,” Mola said of his hopes for the Grand Final. 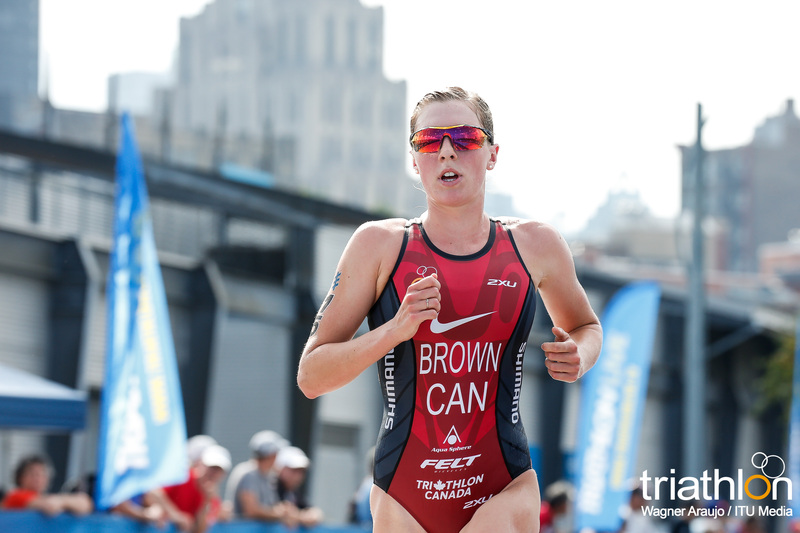 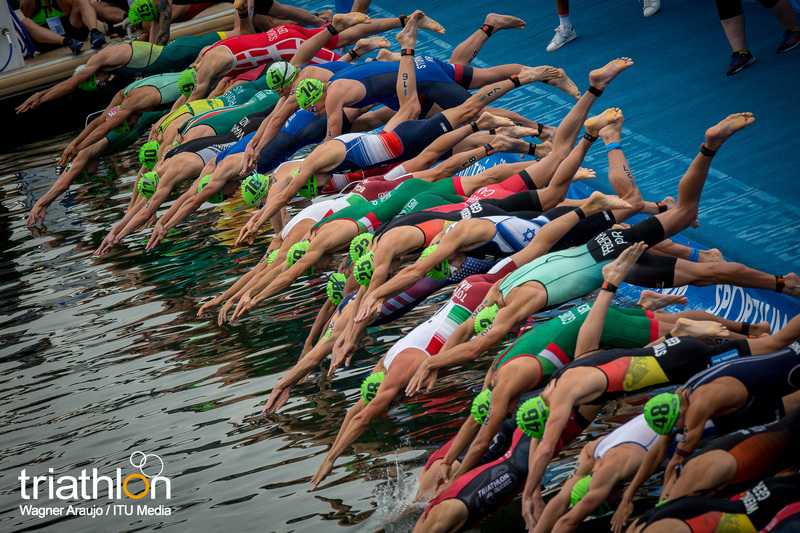 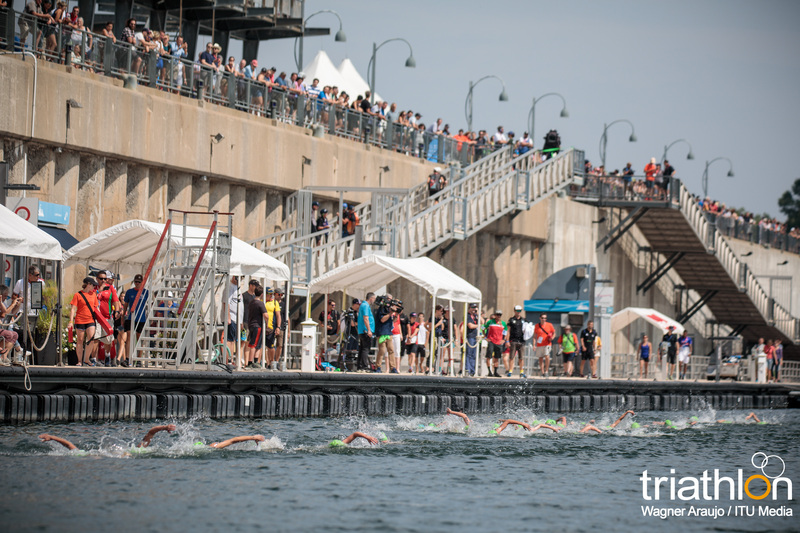 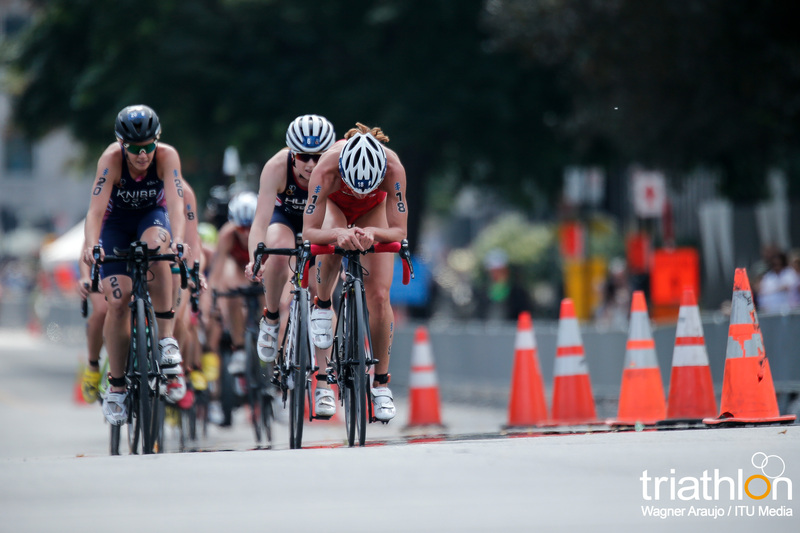 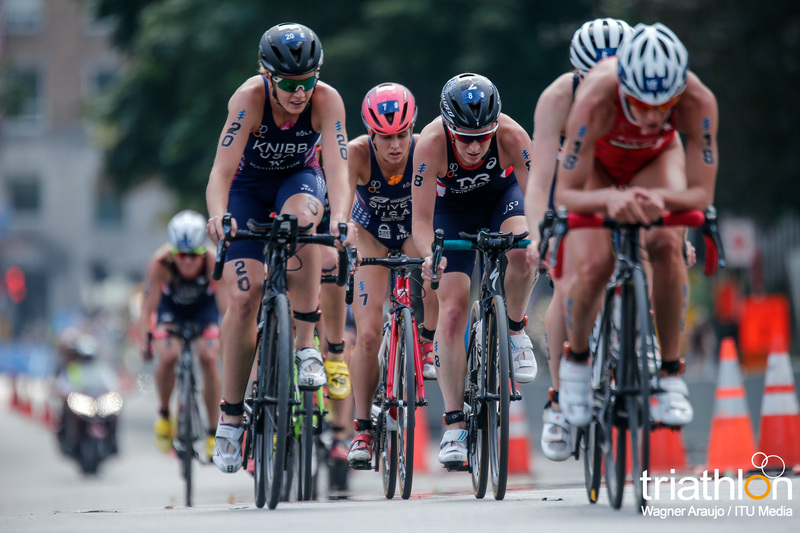 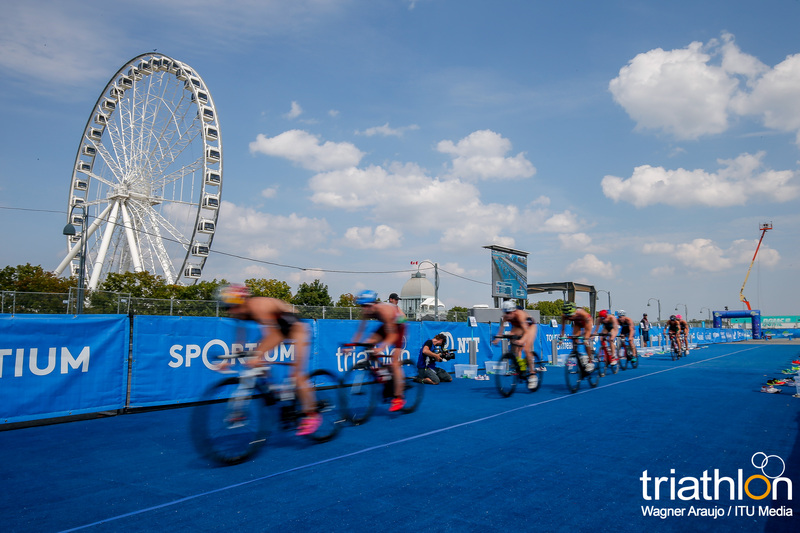 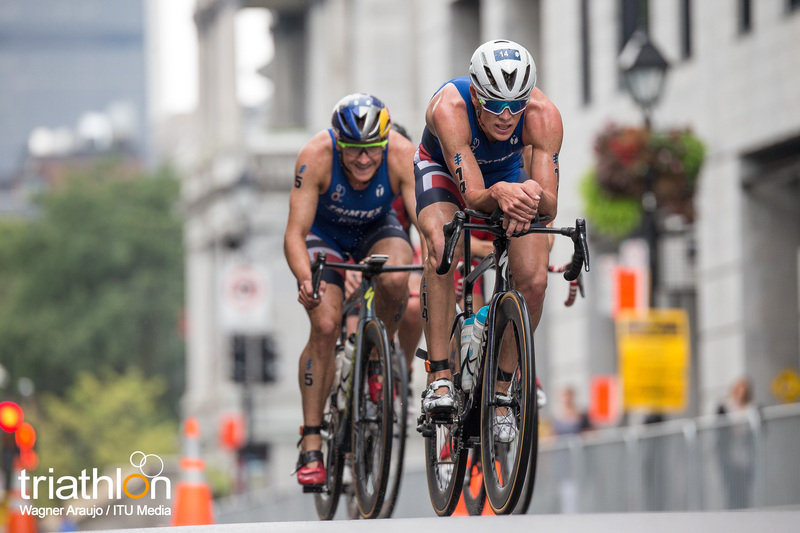 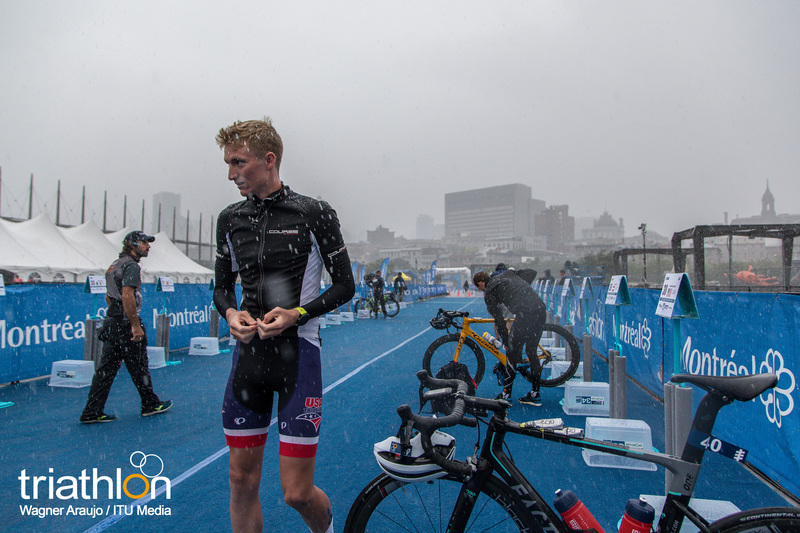 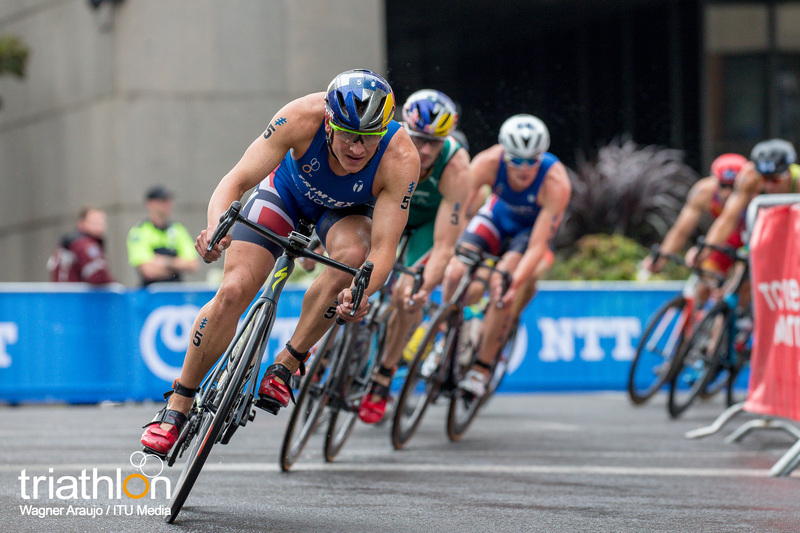 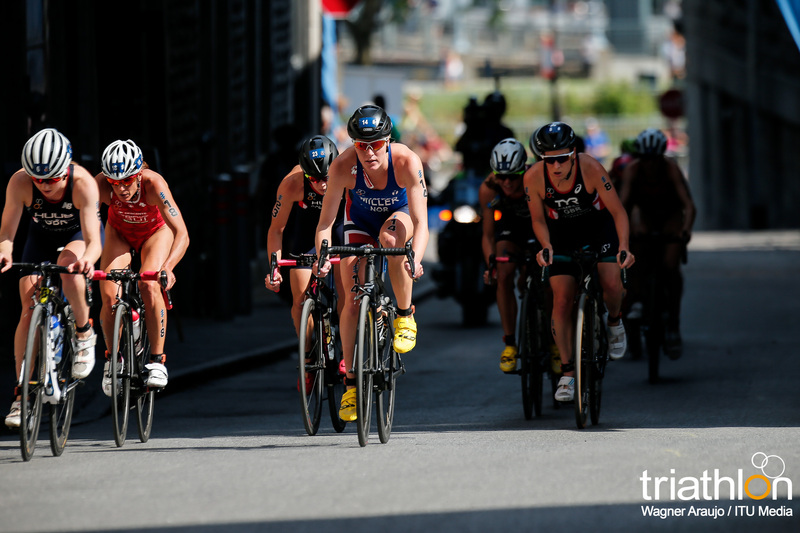 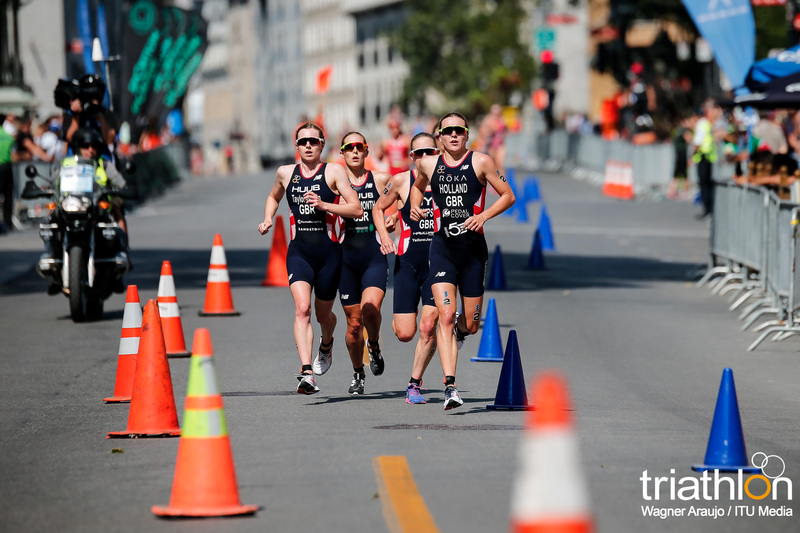 Unlike the sunny women’s race the day before, the men were met with rainy conditions to start the penultimate WTS race of the year. 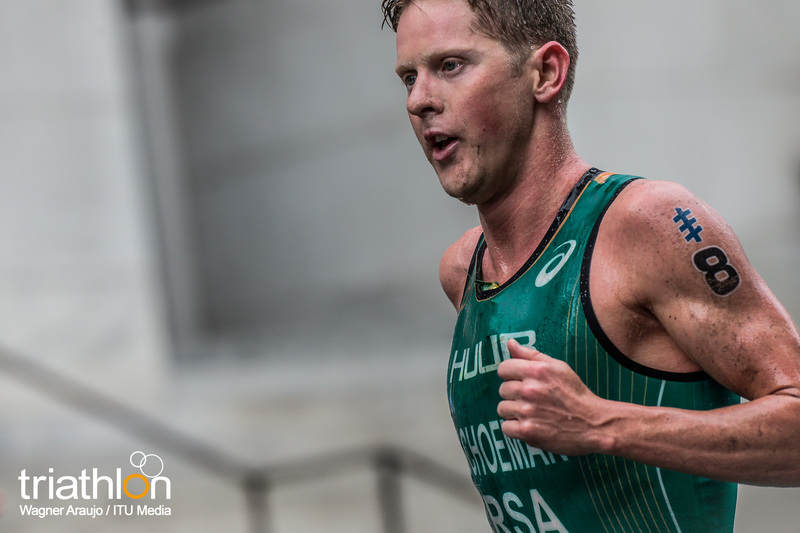 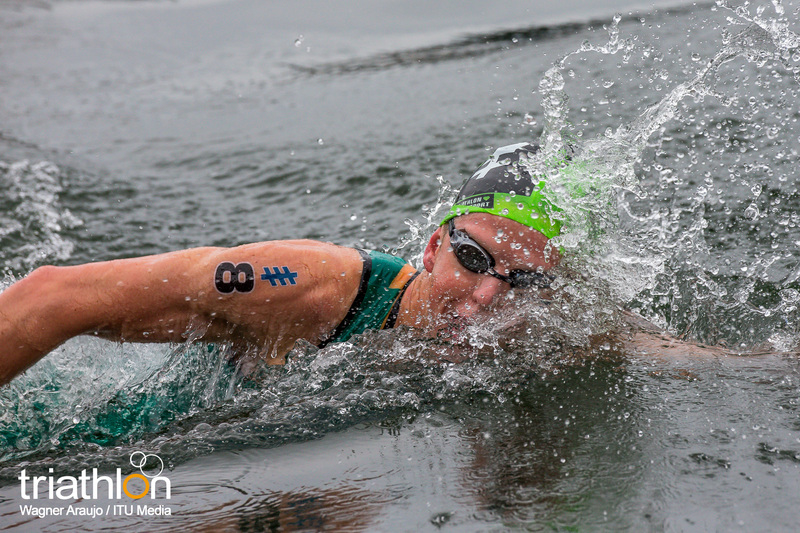 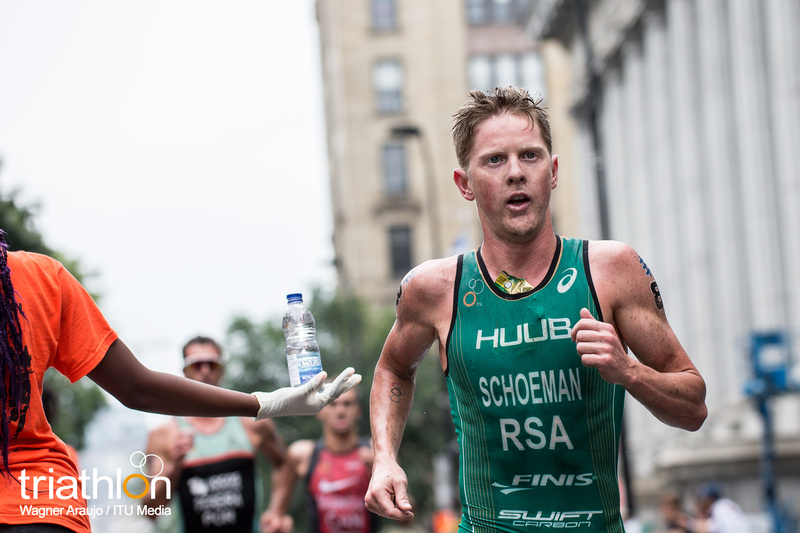 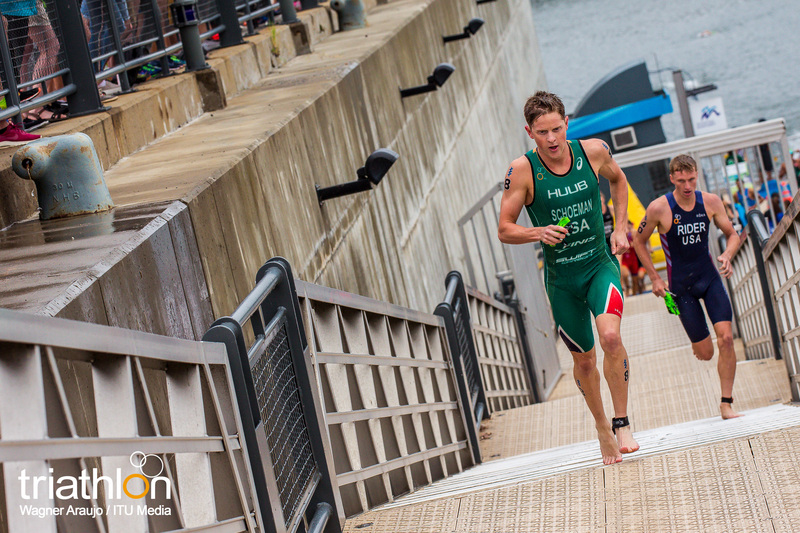 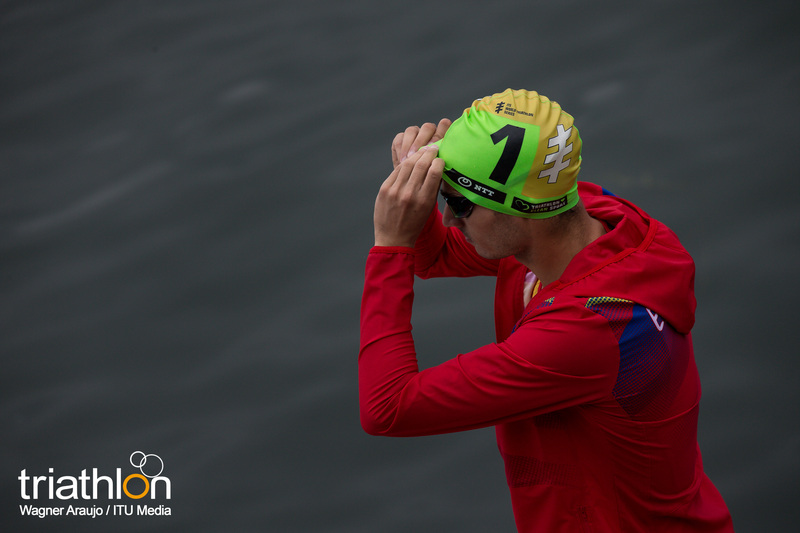 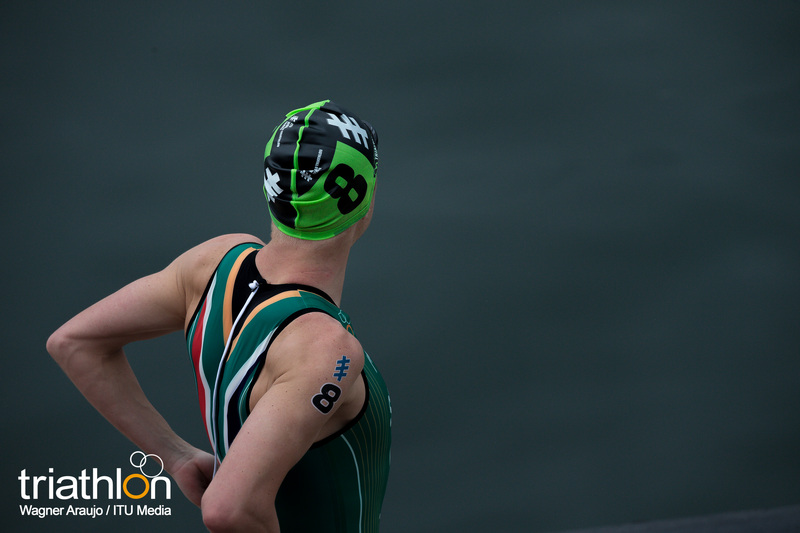 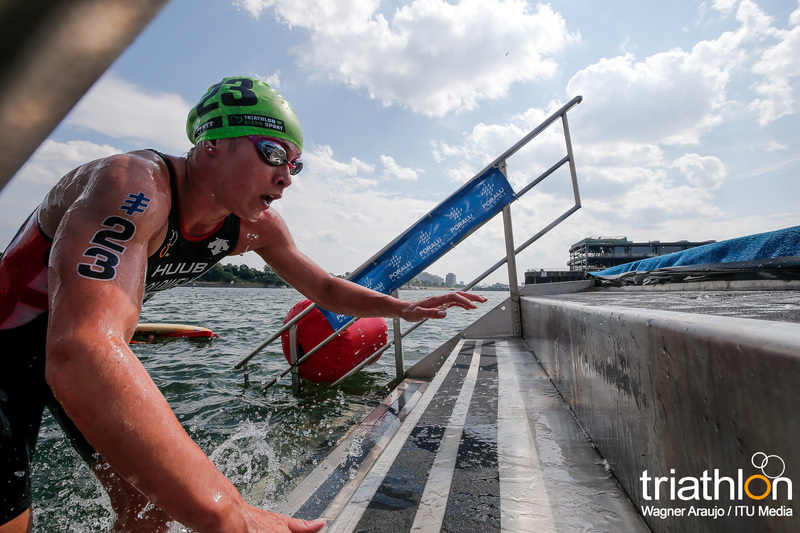 Into the water, it was Henri Schoeman (RSA) who stood out in the swim. 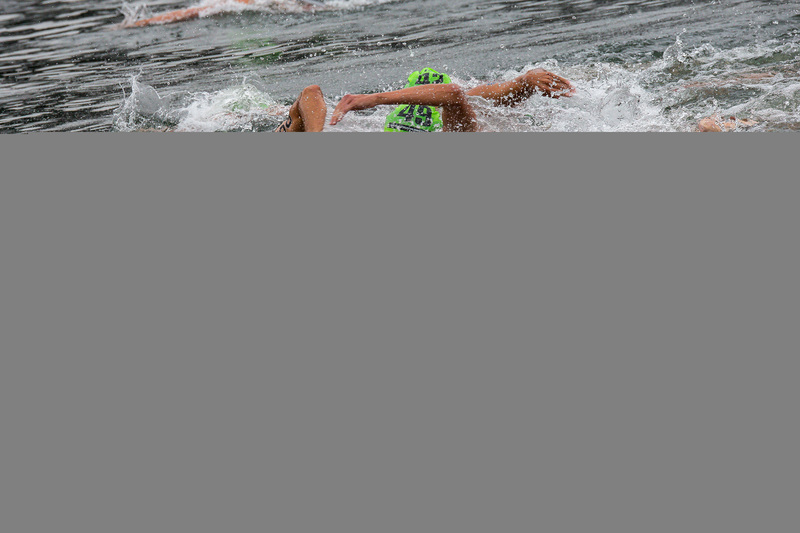 He led right from the starting whistle, through both laps, even at one point having such a lead he stopped in the water to make sure something had not happened in the race. 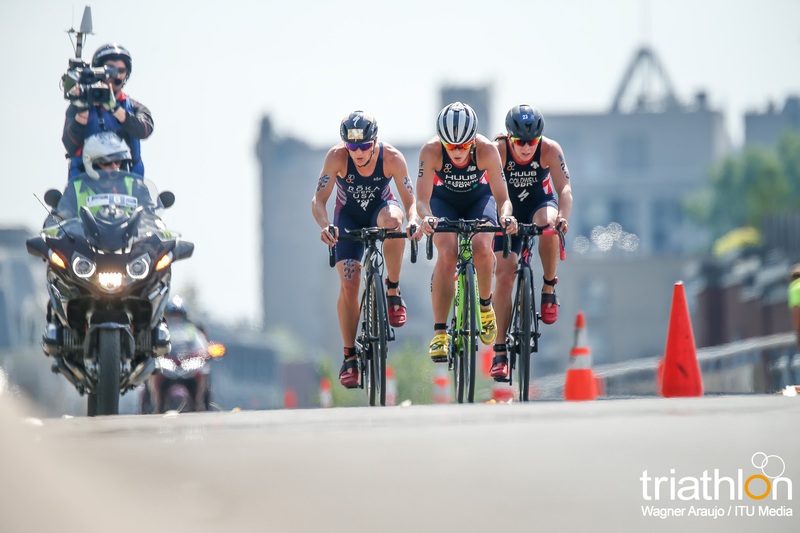 Once through the first transition, it only took moments on the bike for the roster to group together. 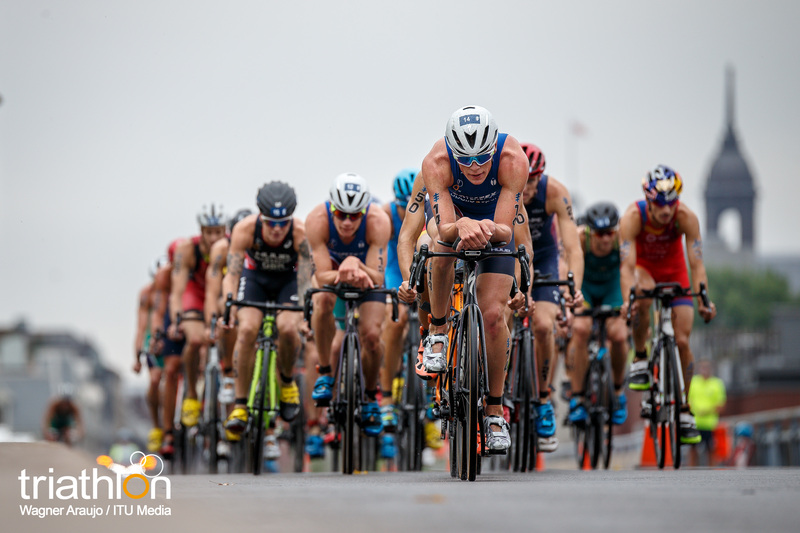 A long train of athletes joined, tallying over 30 men, and with the wet conditions and the technical course, it was hard to get a moment to gain an advantage. 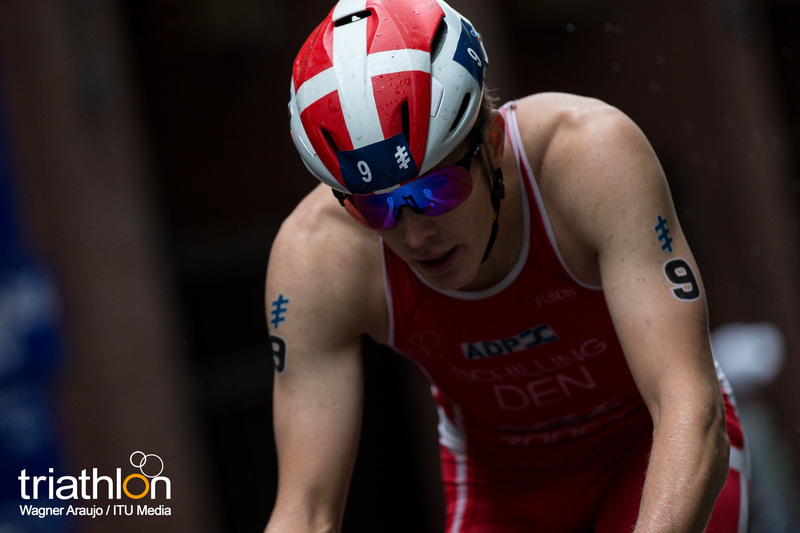 However, it was Denmark’s Andreas Schilling who saw an opportunity and took it. 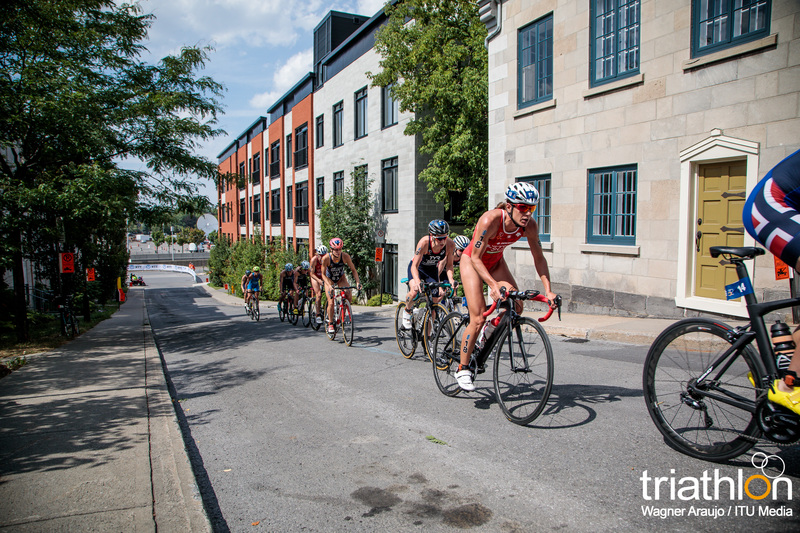 He broke away from the pack and solo rode for a few laps. 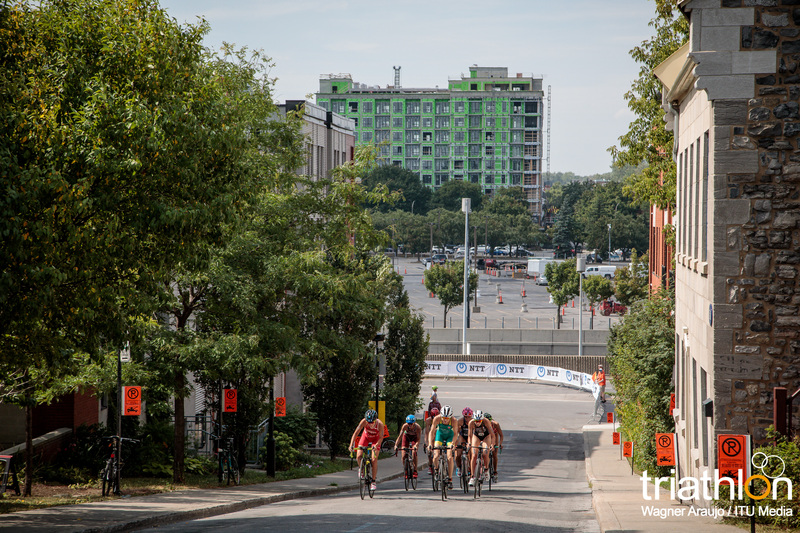 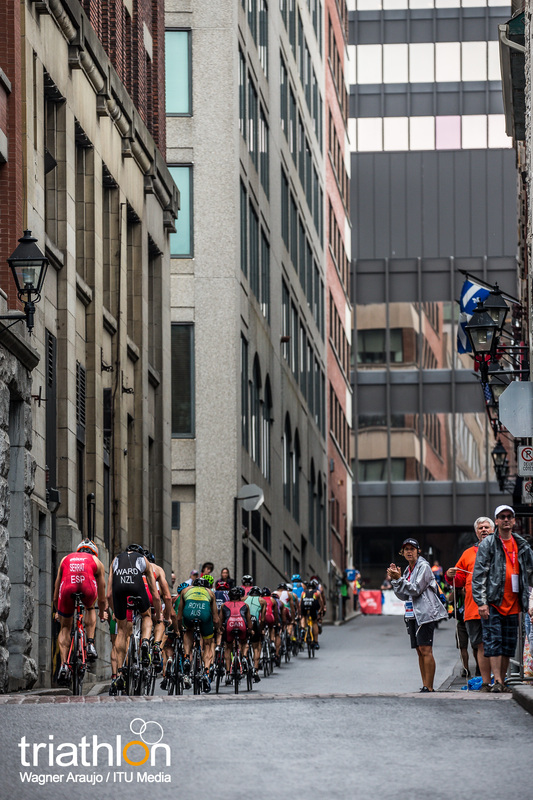 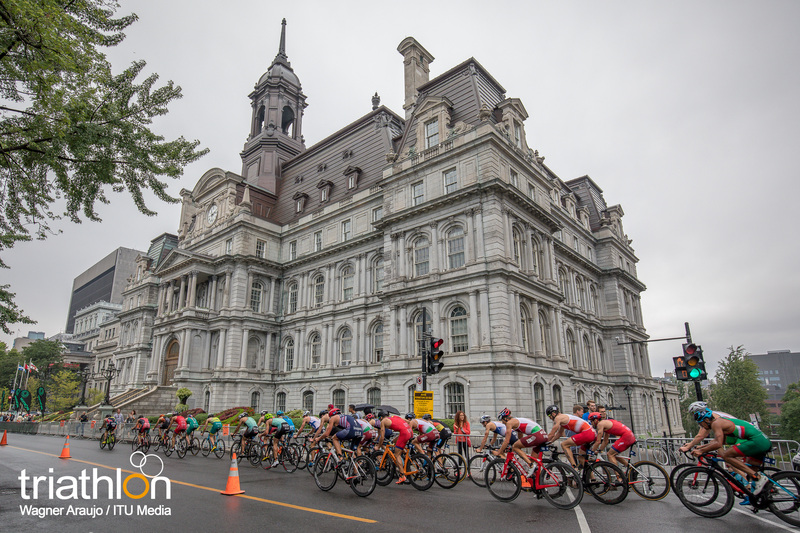 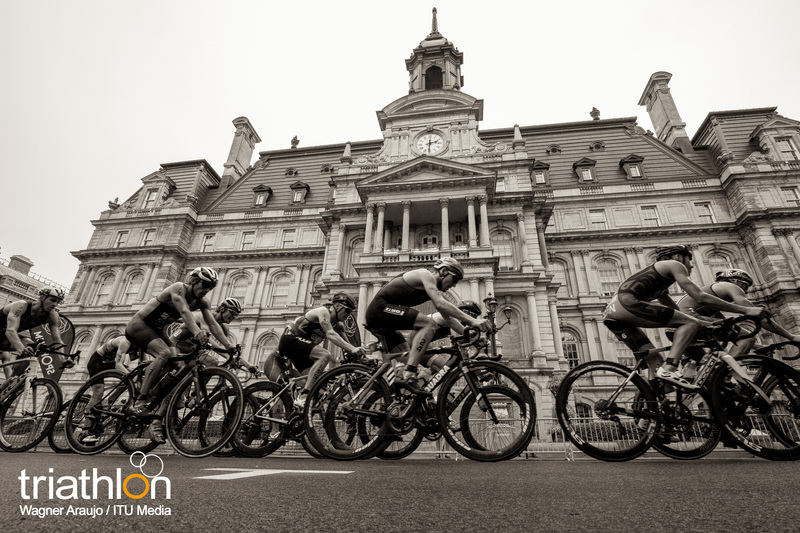 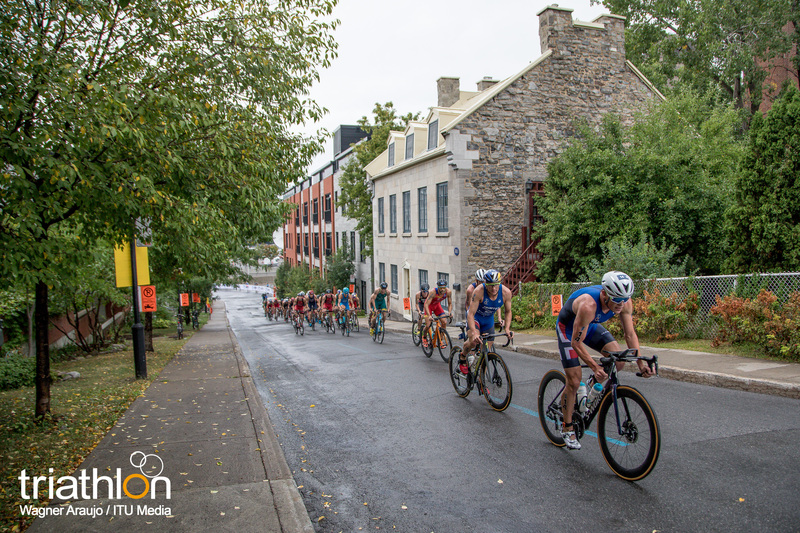 It was then about halfway through the bike course where Norwegians Blummenfelt and Casper Stornes, along with Canada’s own Charles Paquet and Shachar Sagiv (ISR) joined him on the breakaway quest. 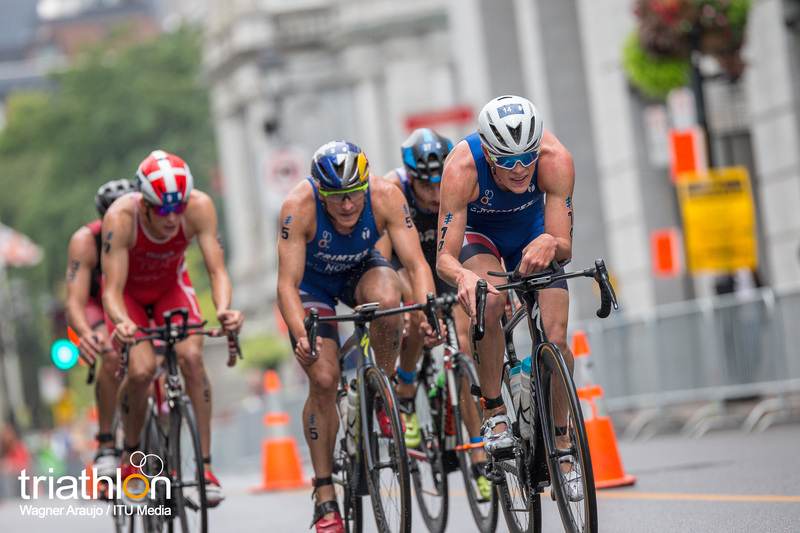 Finishing off the bike and entering T2, the leaders had a gap of just over a minute. 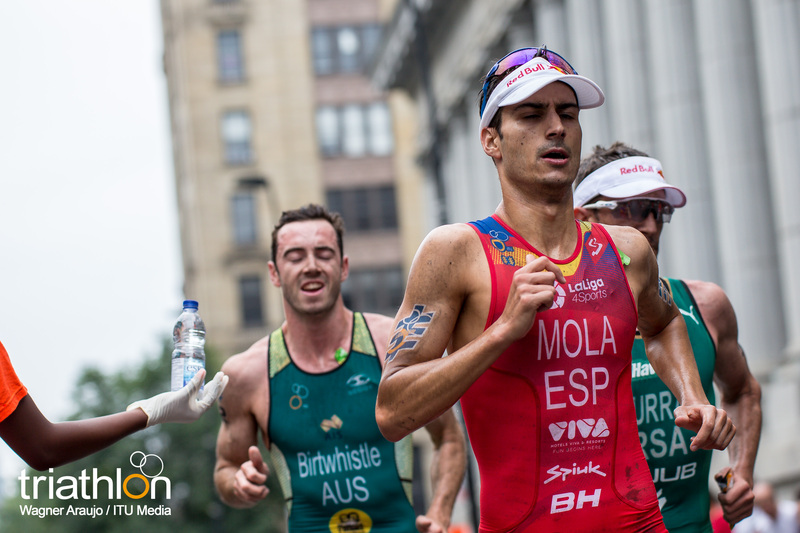 But with runners in the mix such as Mola, Murray and Birtwhistle needing to catch up, every second was appreciated. 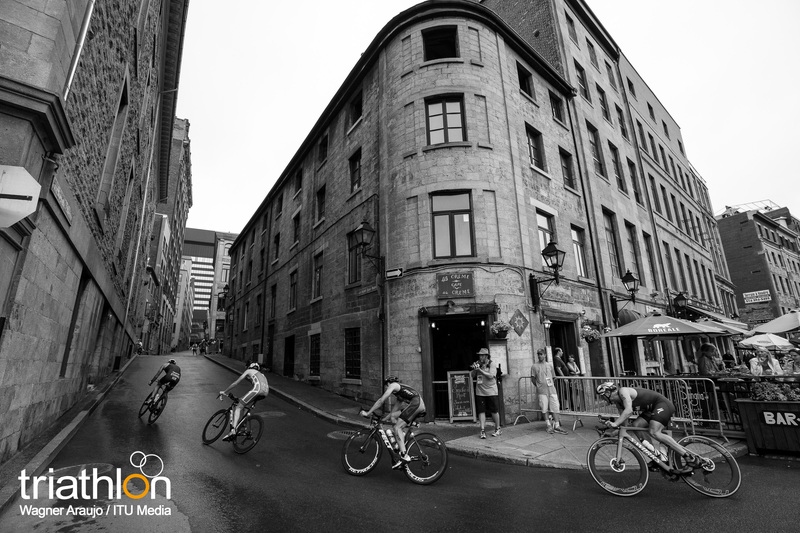 Blummenfelt took control on the run, leaving his fellow cyclists behind and capturing the lead. 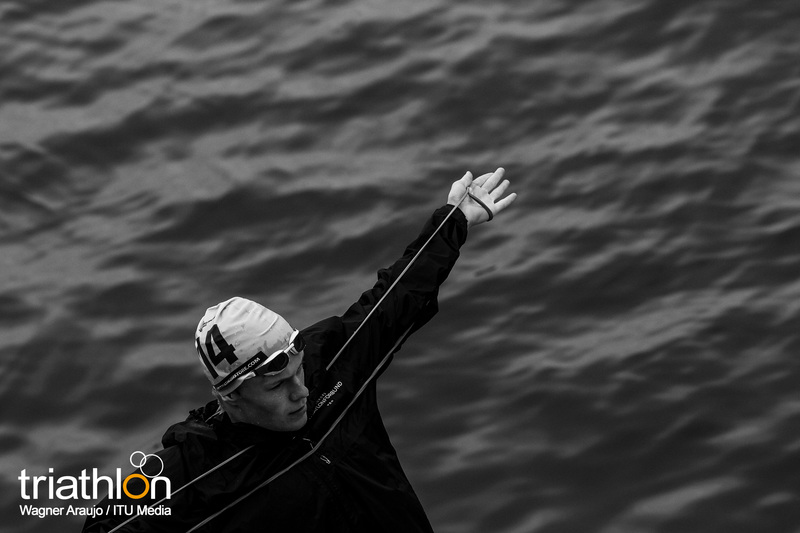 However, Mola was on the hunt, ensuring that the Norwegian would not be able to run with ease. 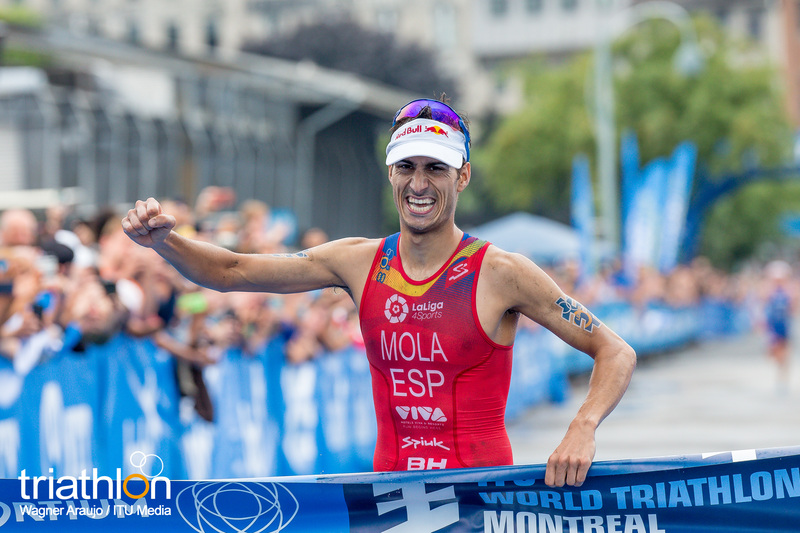 While it seemed that Blummenfelt would be able to hold off the Spaniard, maintaining a 20-second gap for the majority of the course, it wasn’t until the final kilometre when Mola stepped on the gas to overtake Blummenfelt for the win and clocking in at 1:47:46 with a 29:48 run split time. 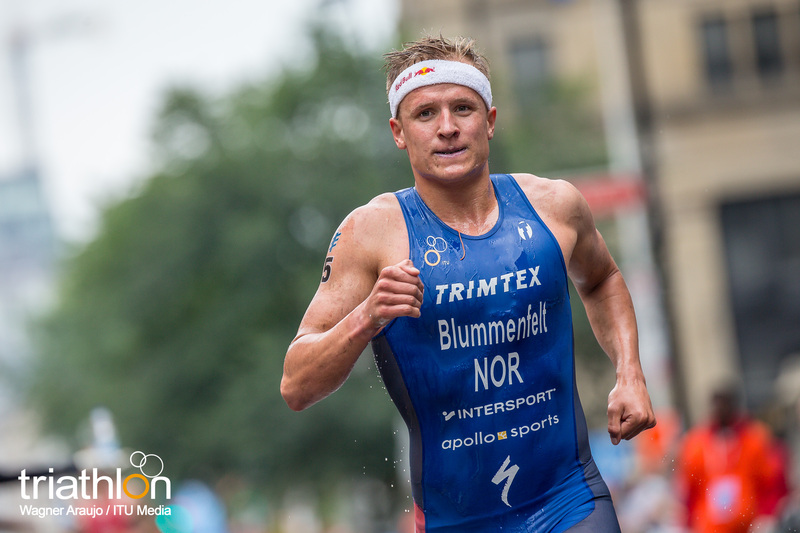 The silver then went to Blummenfelt a mere 16 seconds later, with Birtwhistle finishing it off in third.